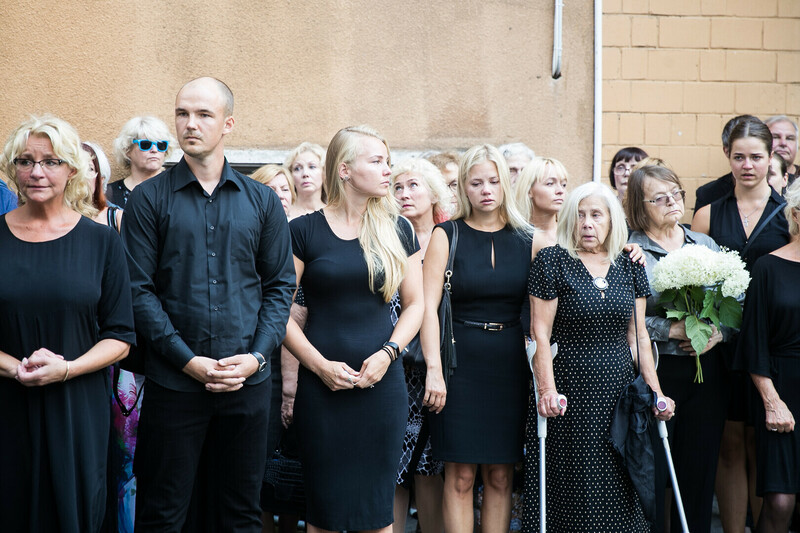 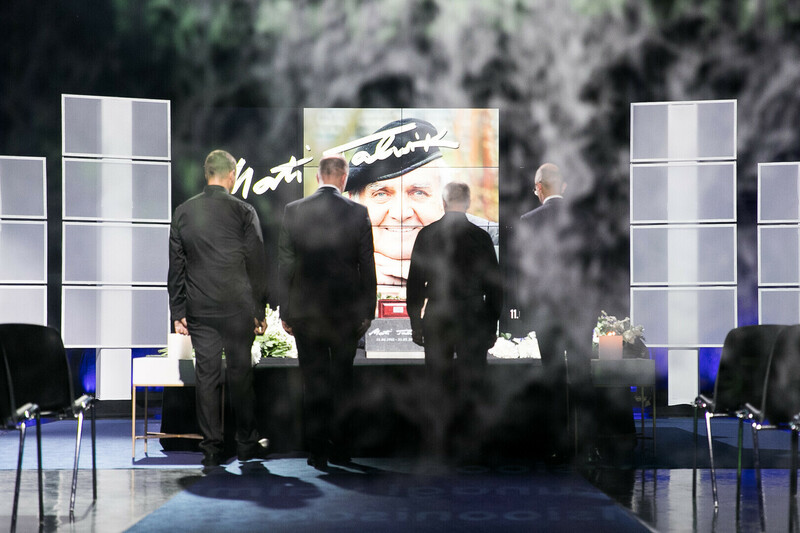 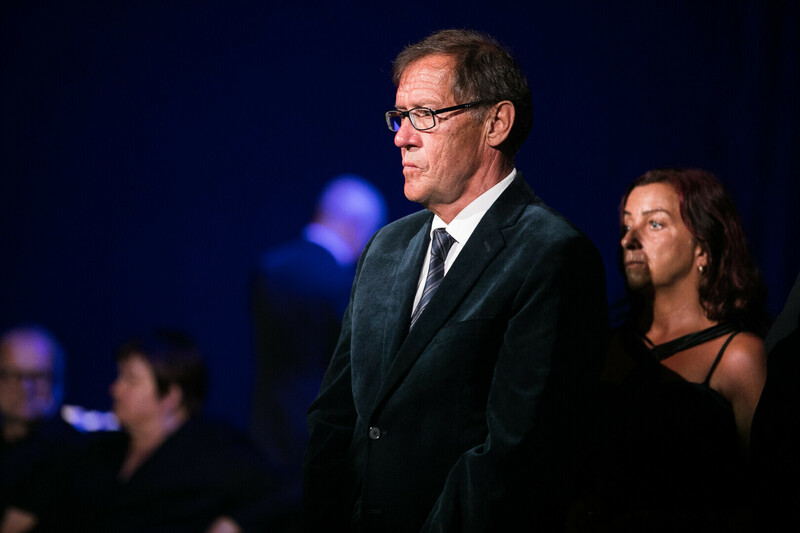 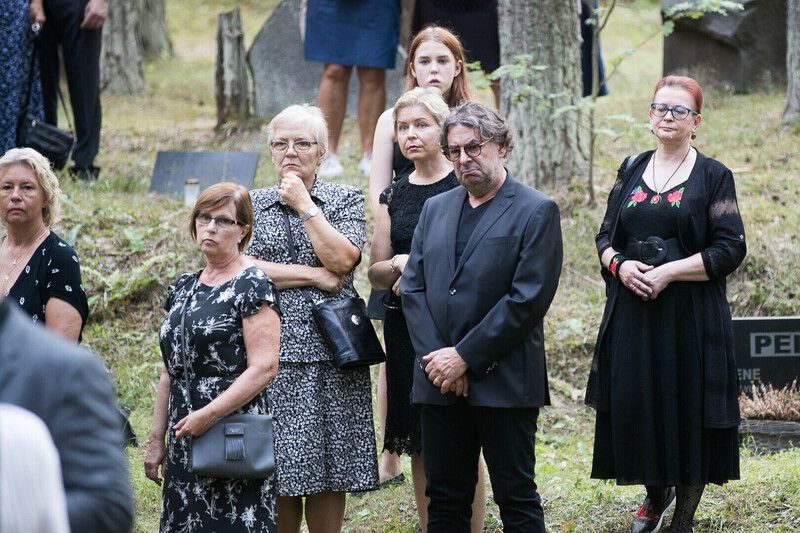 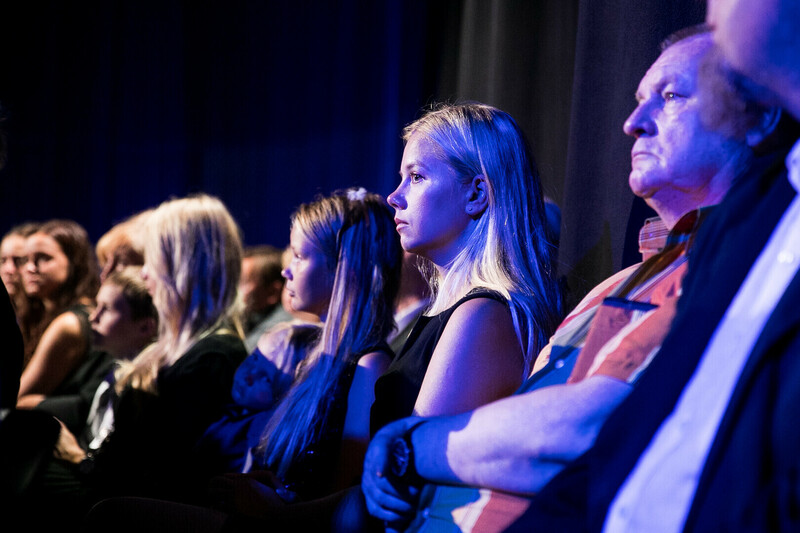 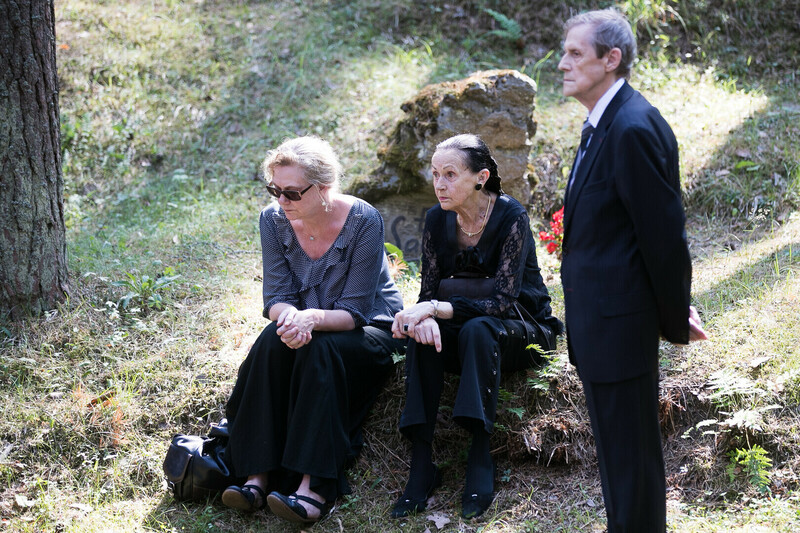 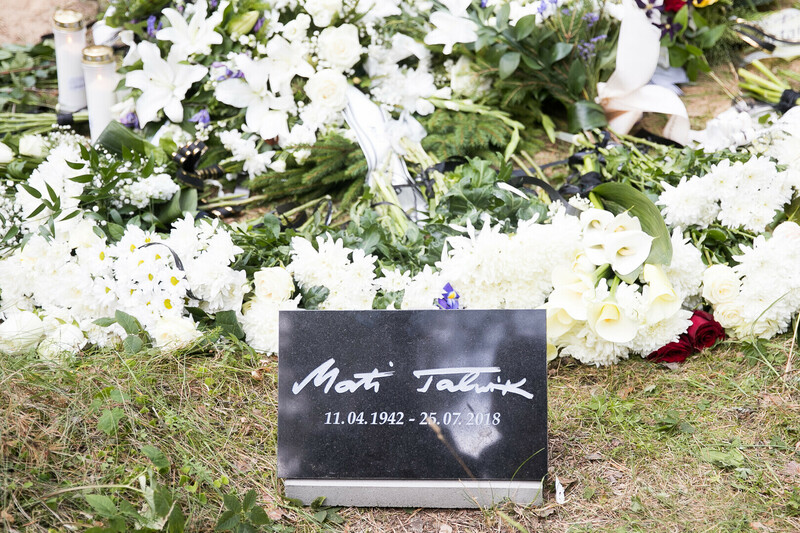 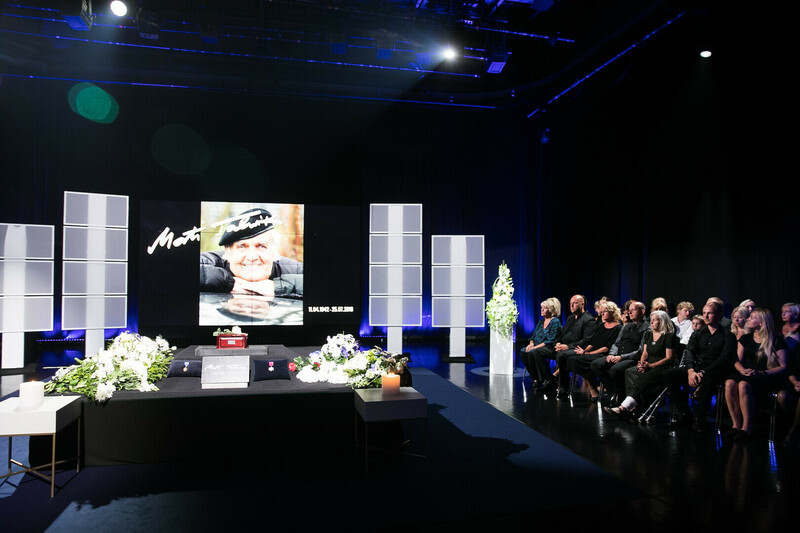 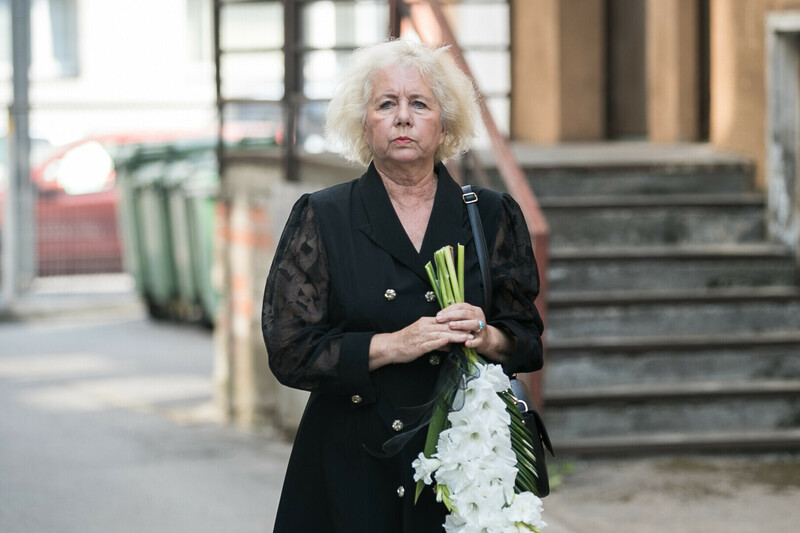 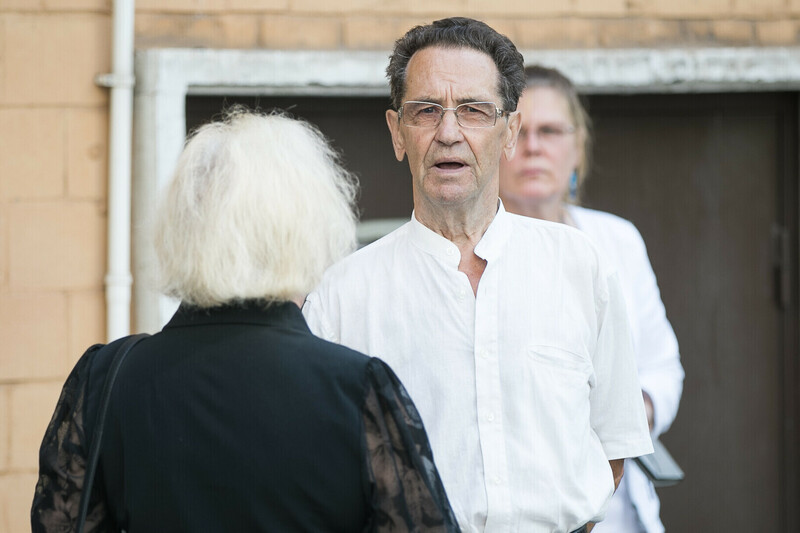 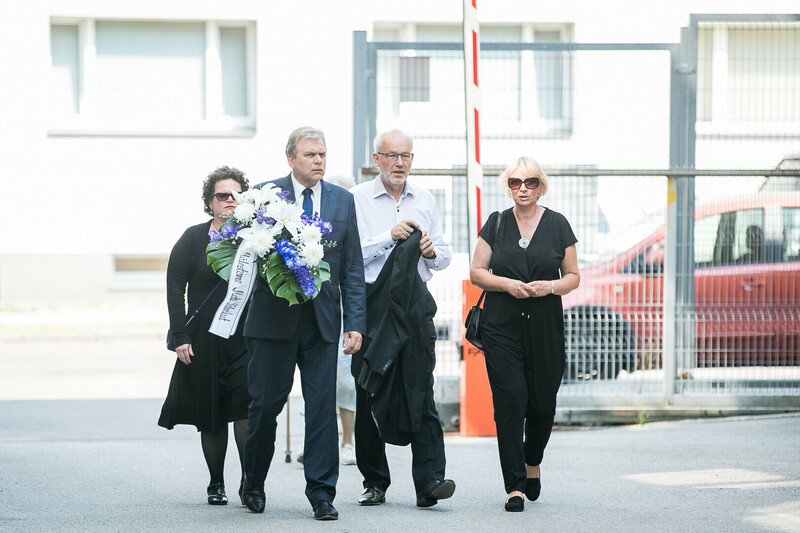 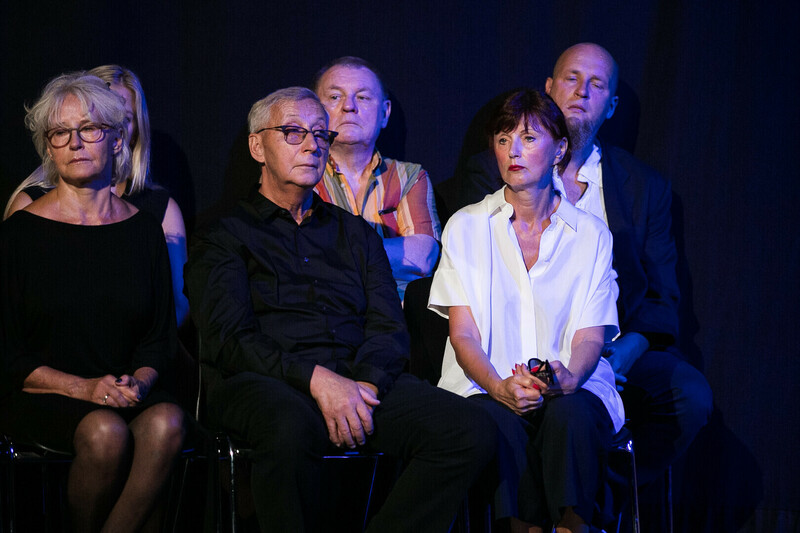 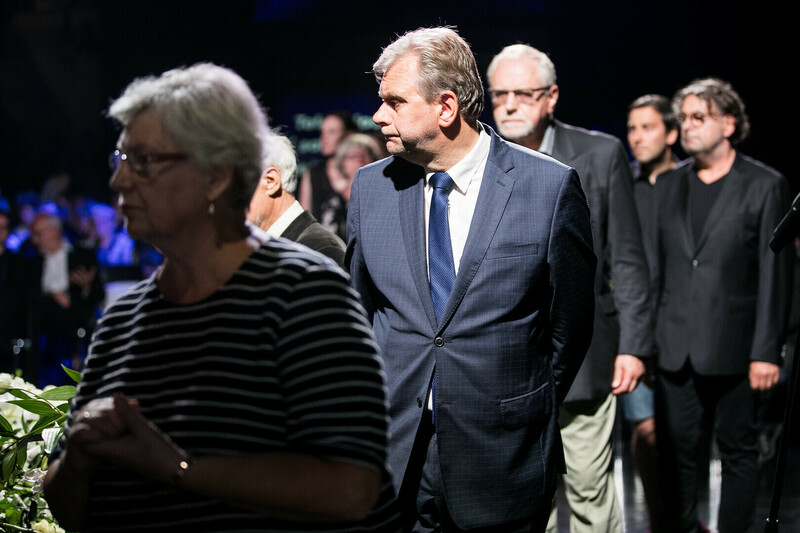 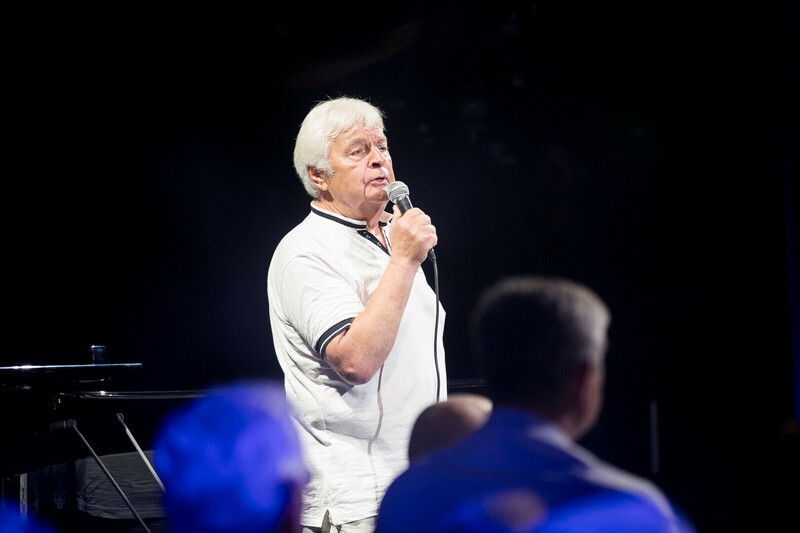 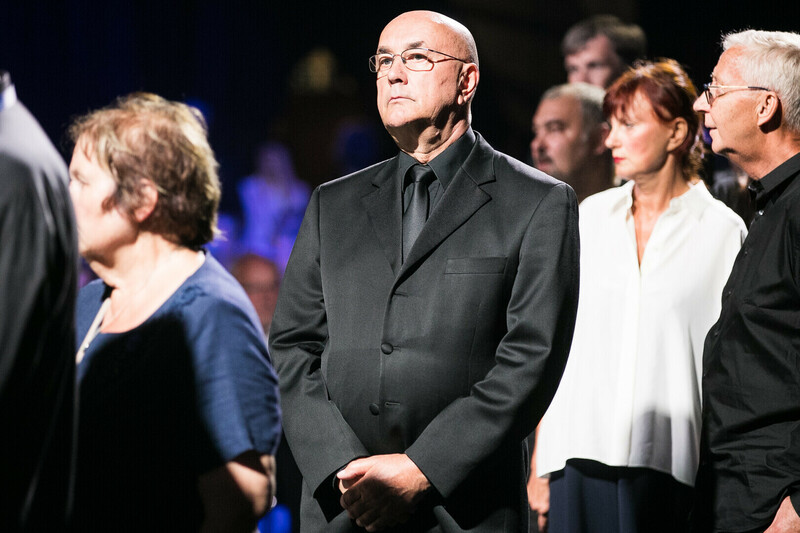 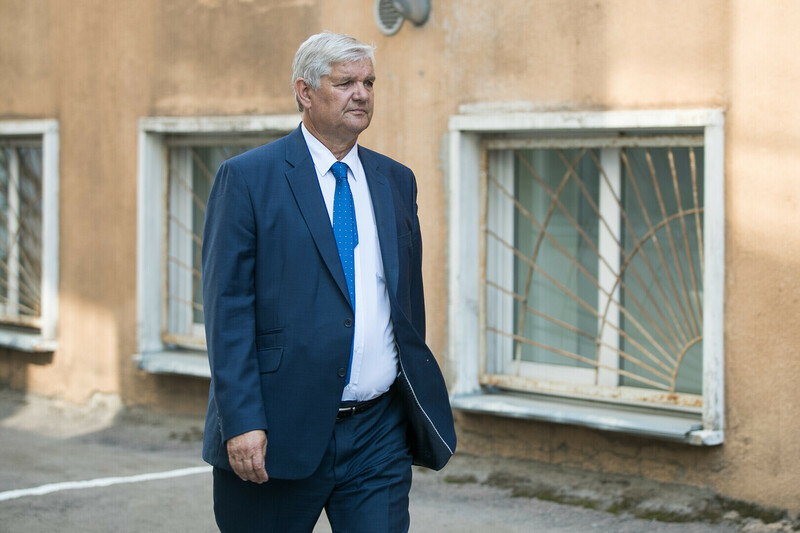 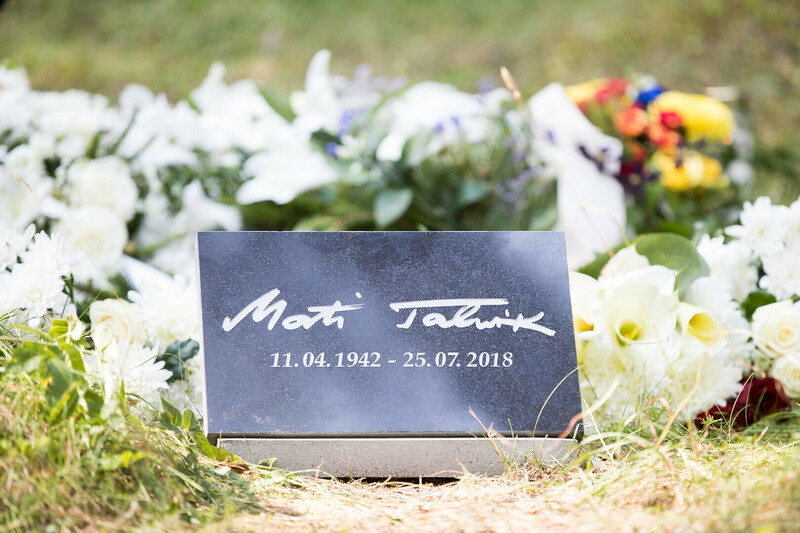 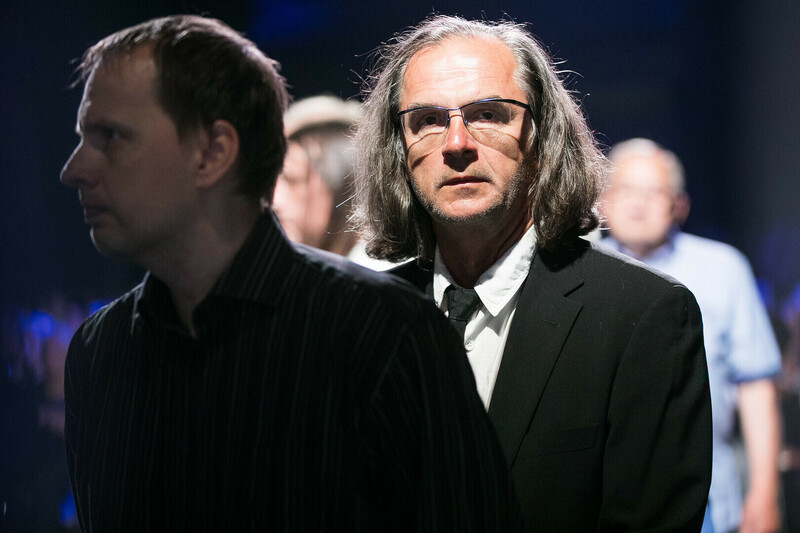 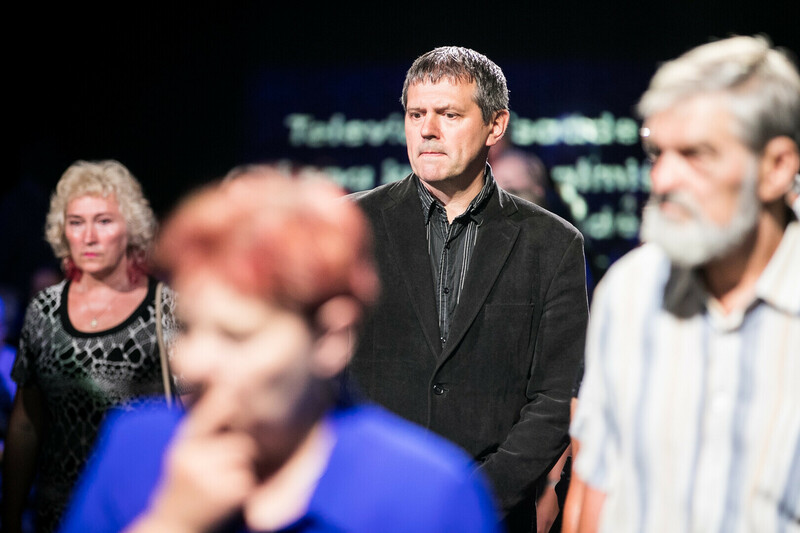 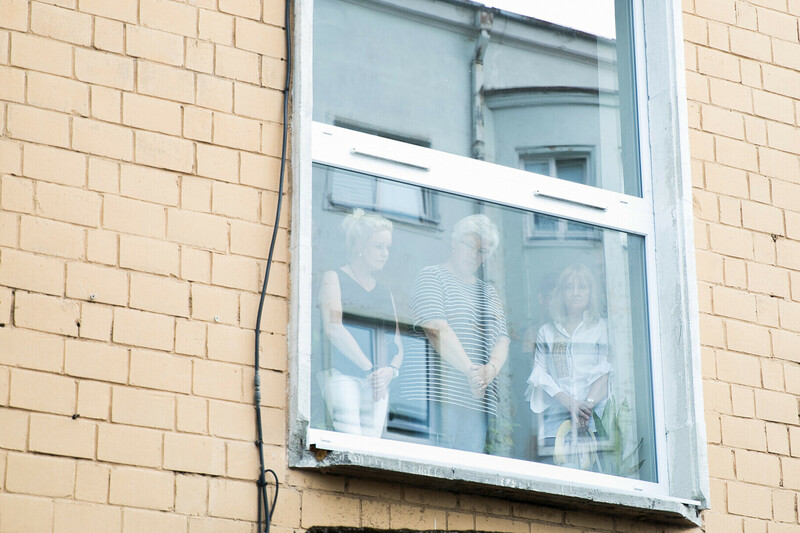 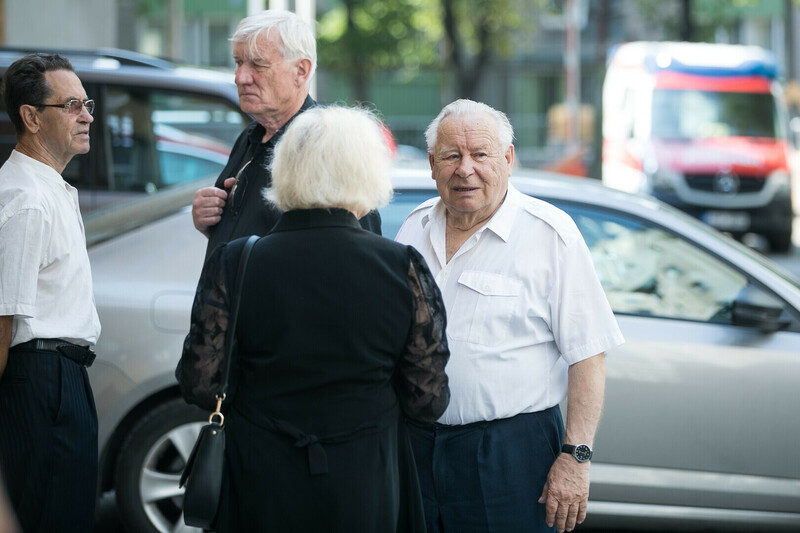 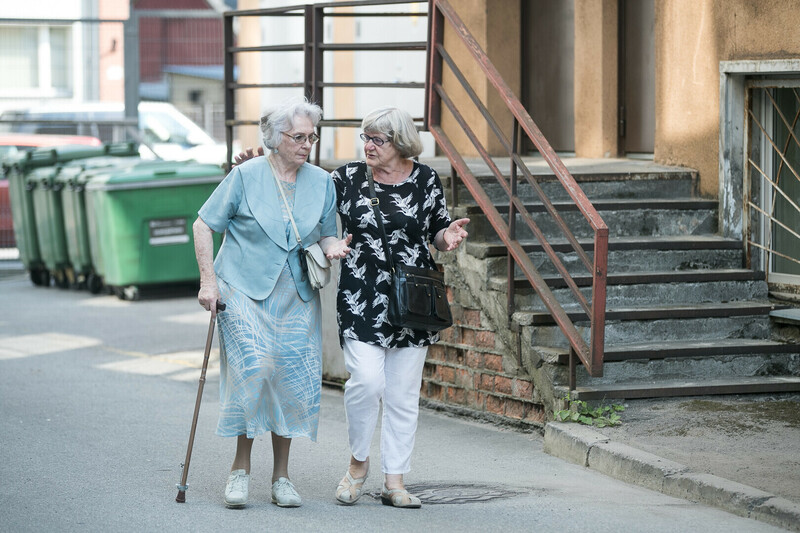 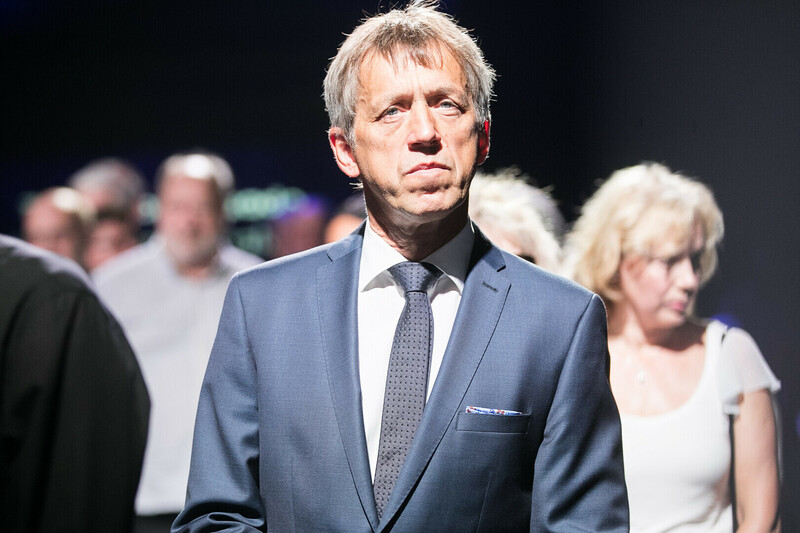 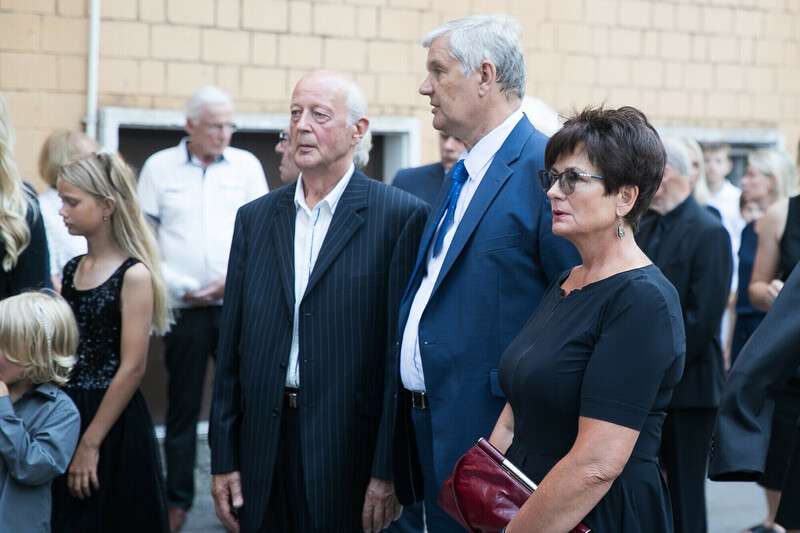 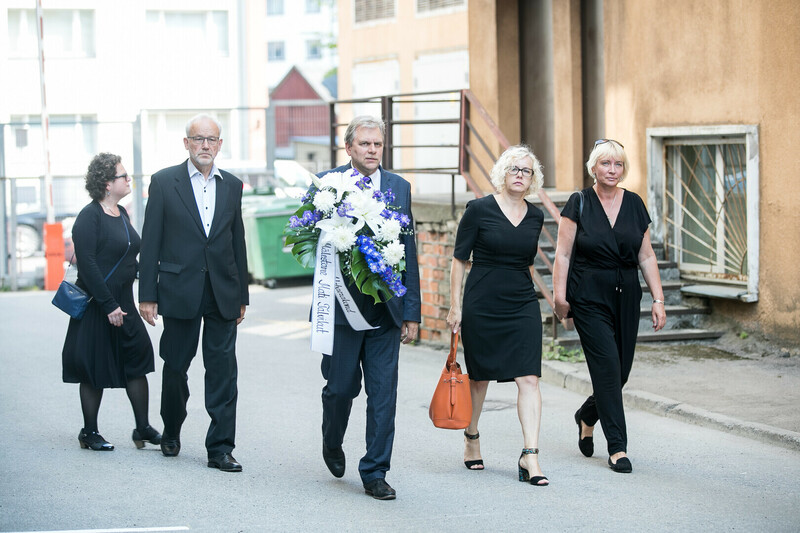 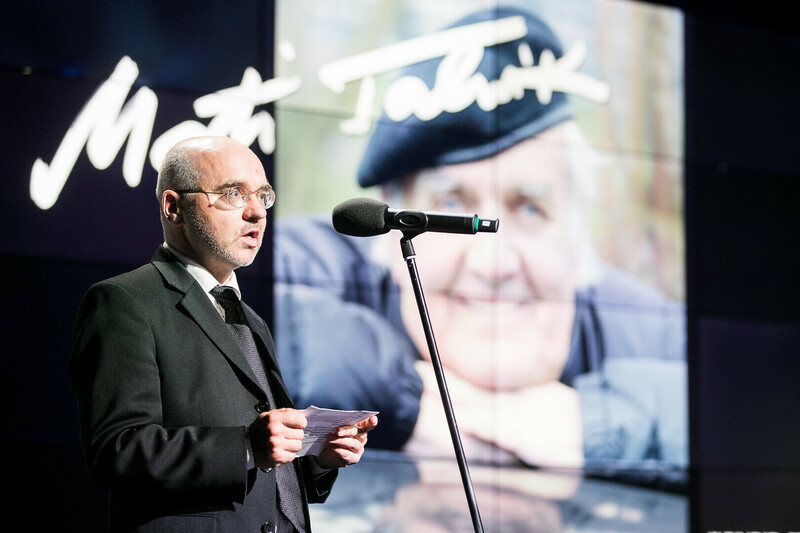 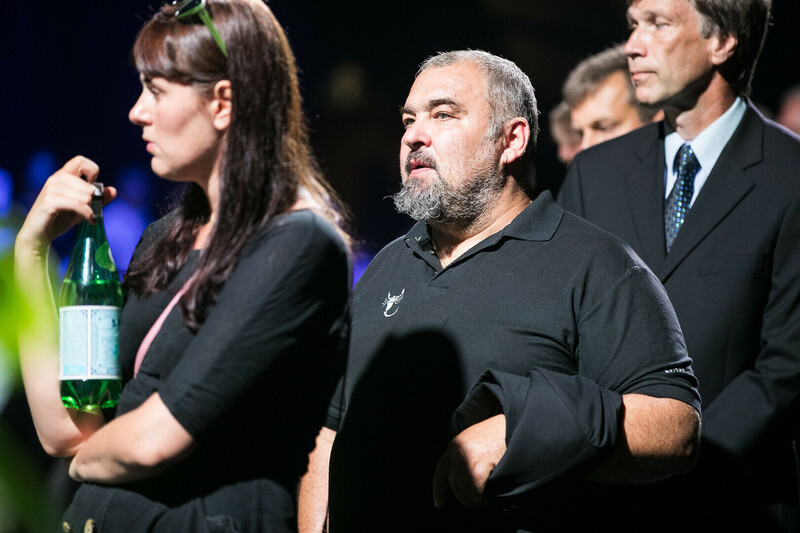 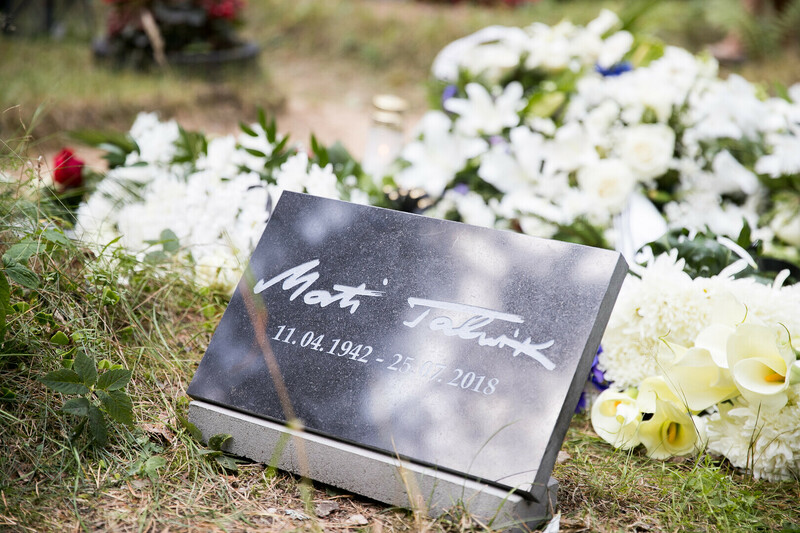 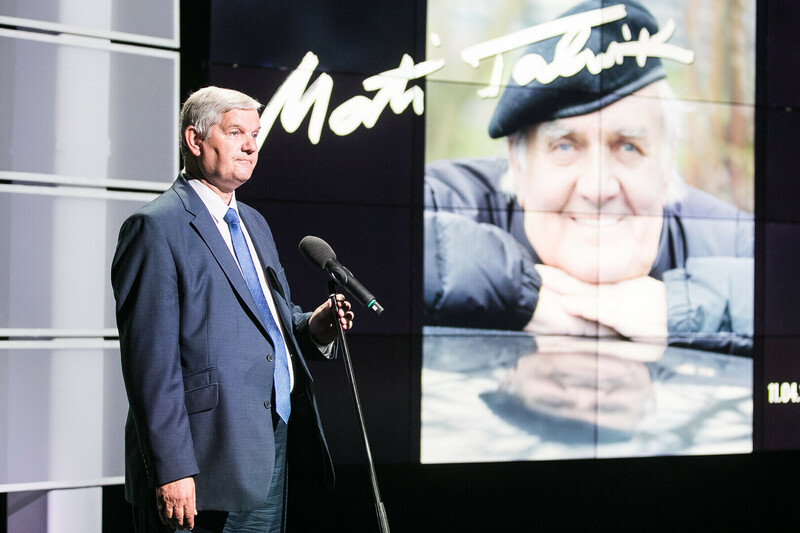 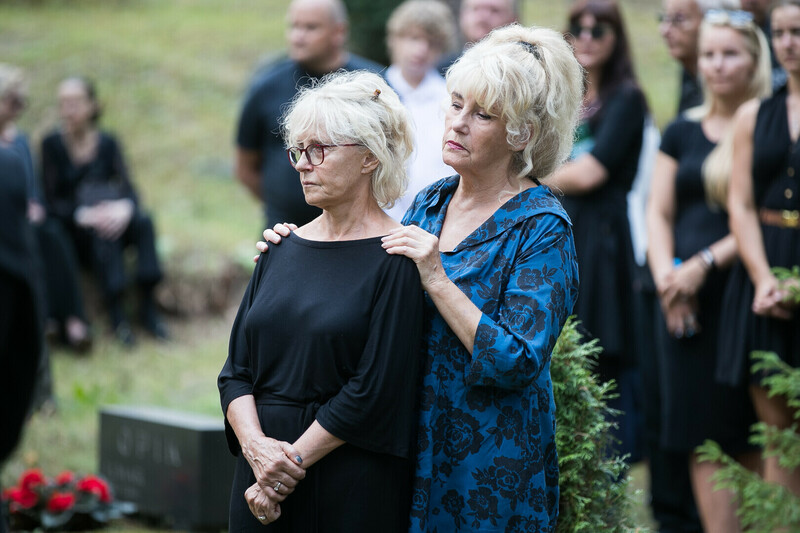 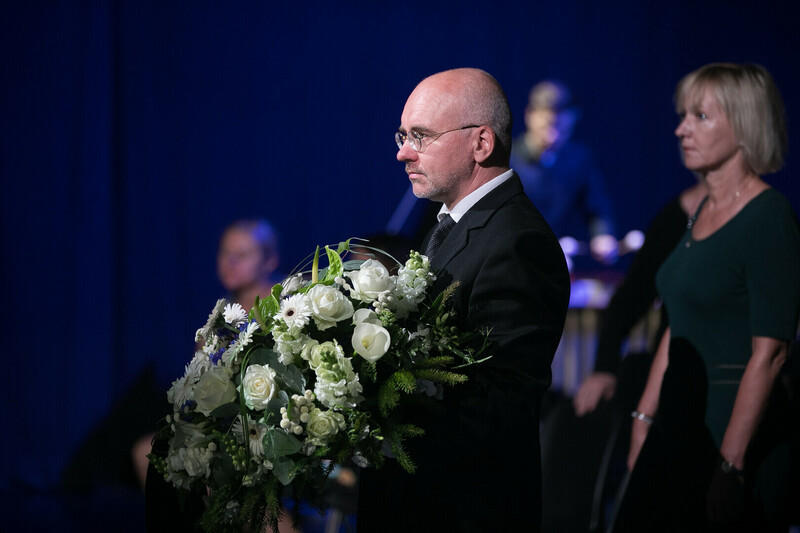 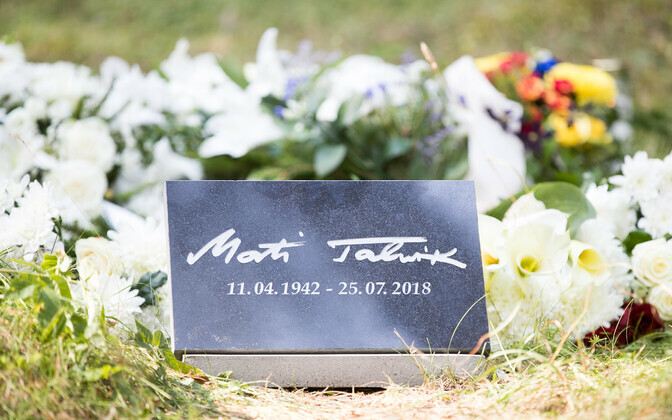 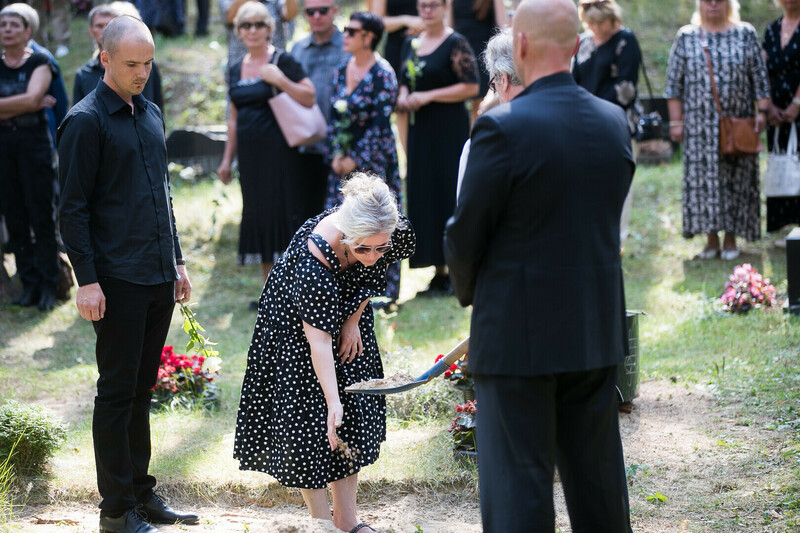 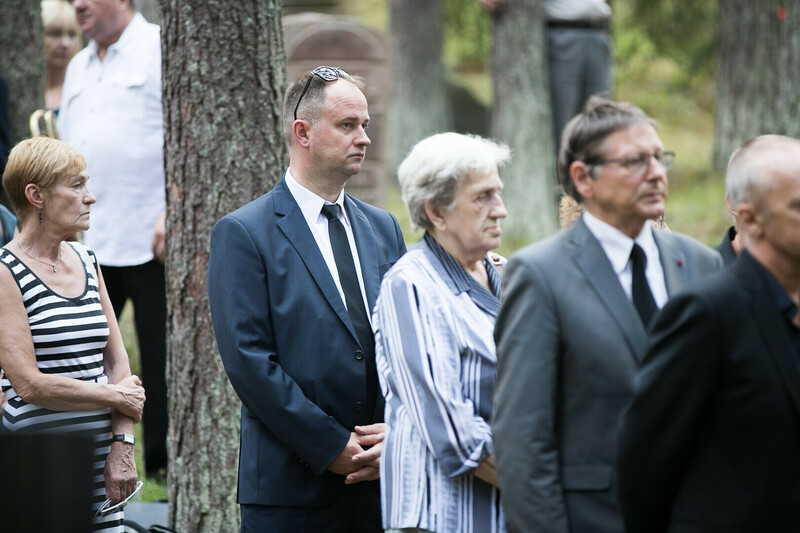 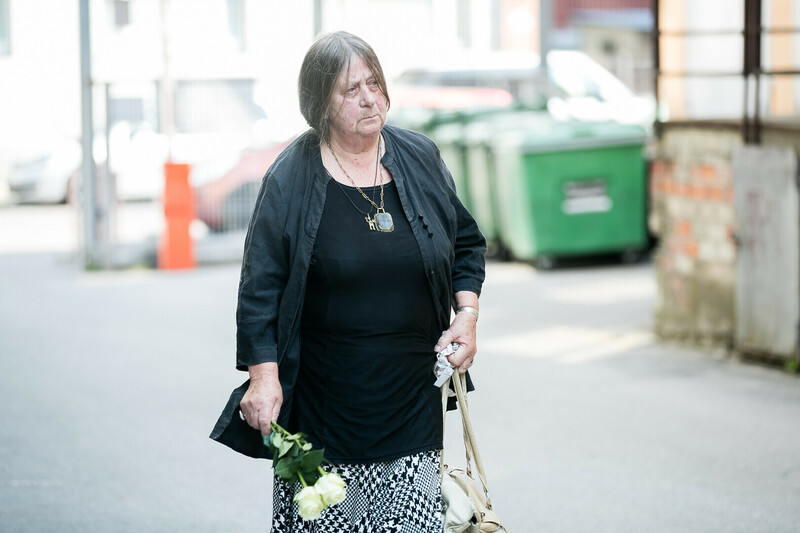 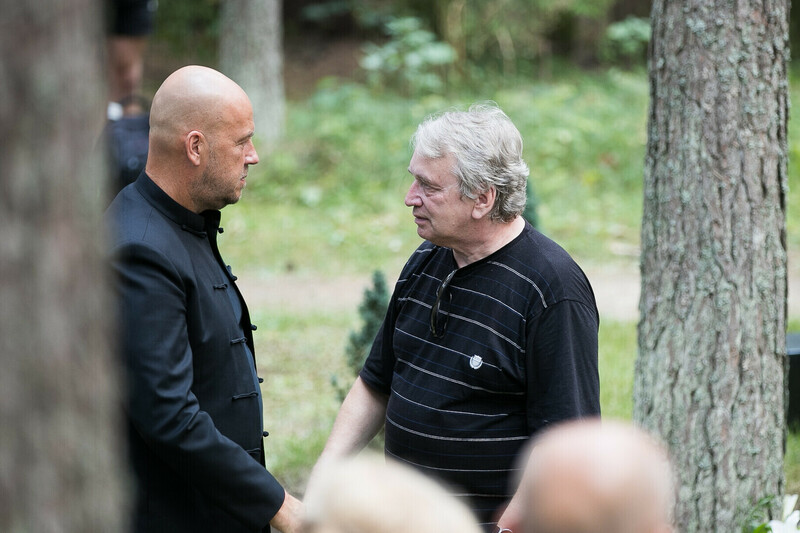 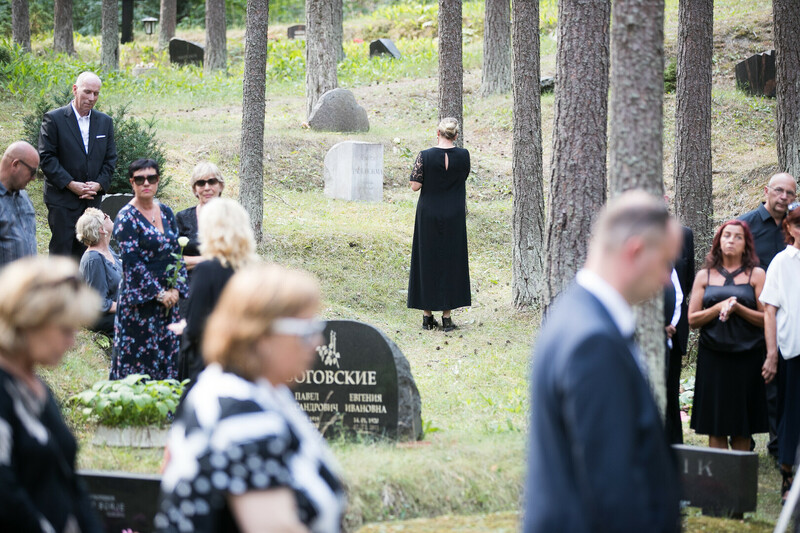 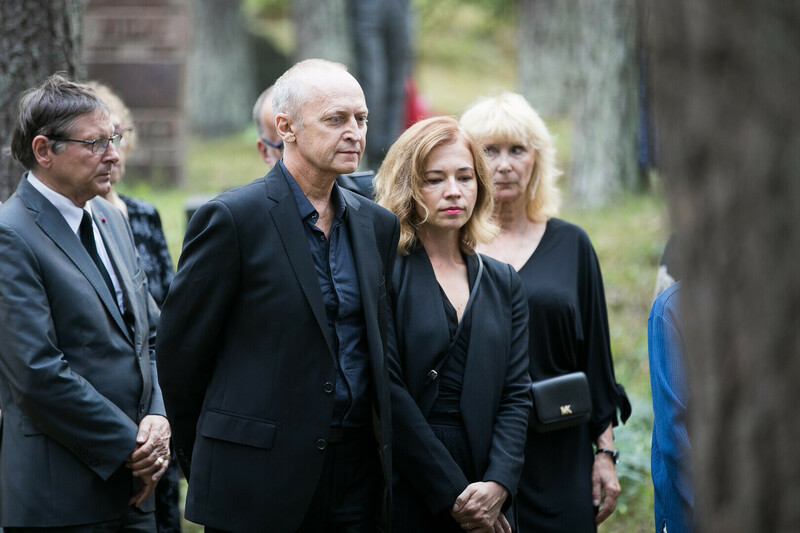 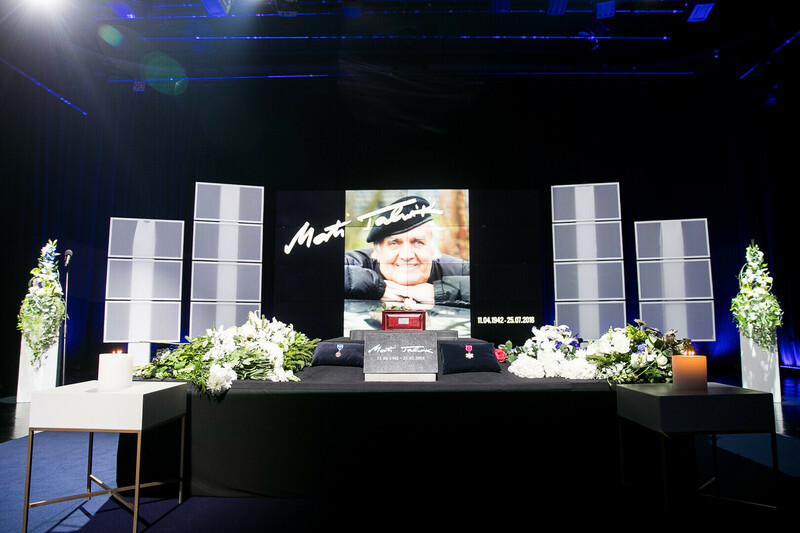 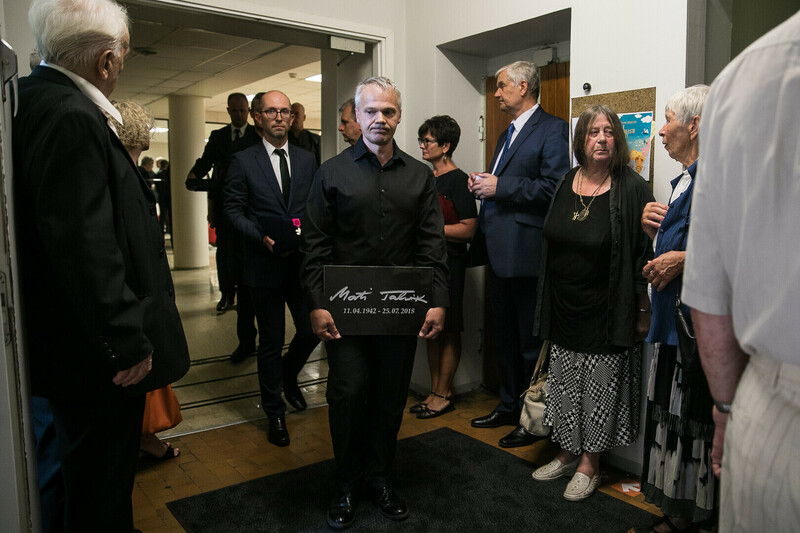 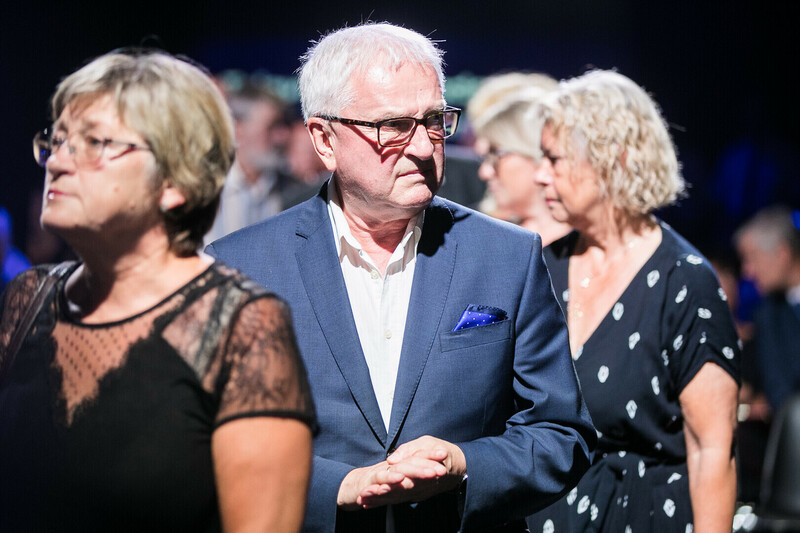 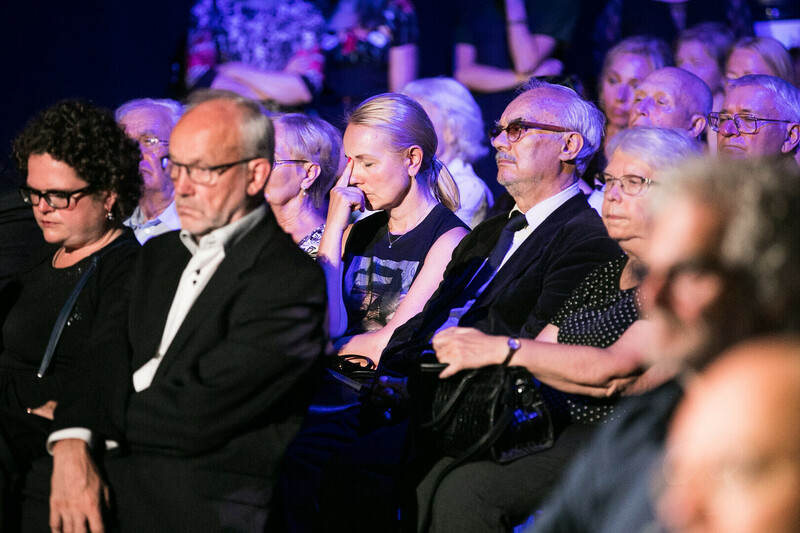 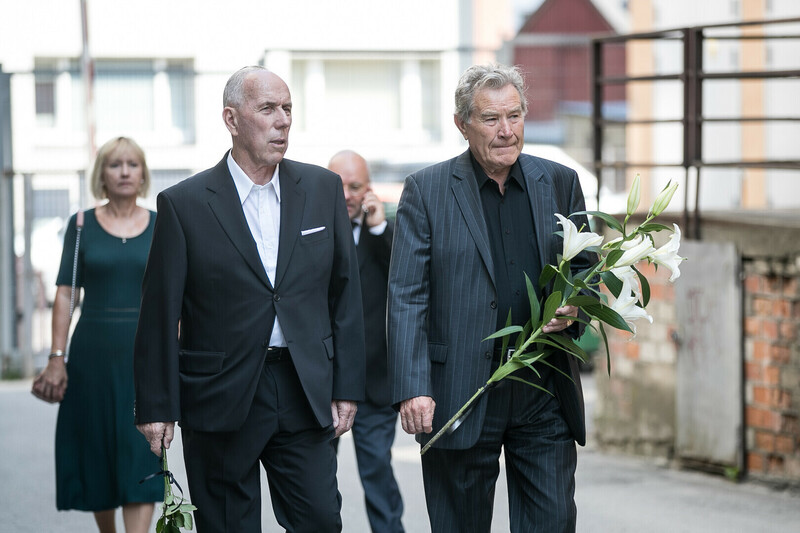 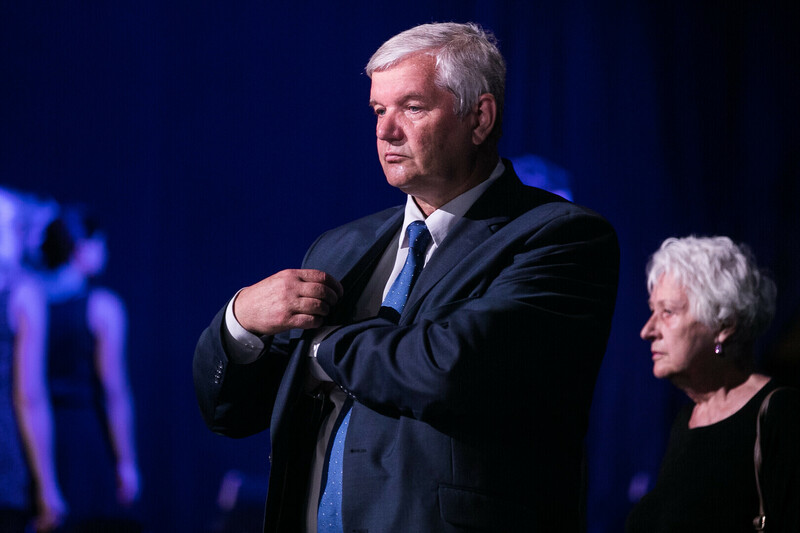 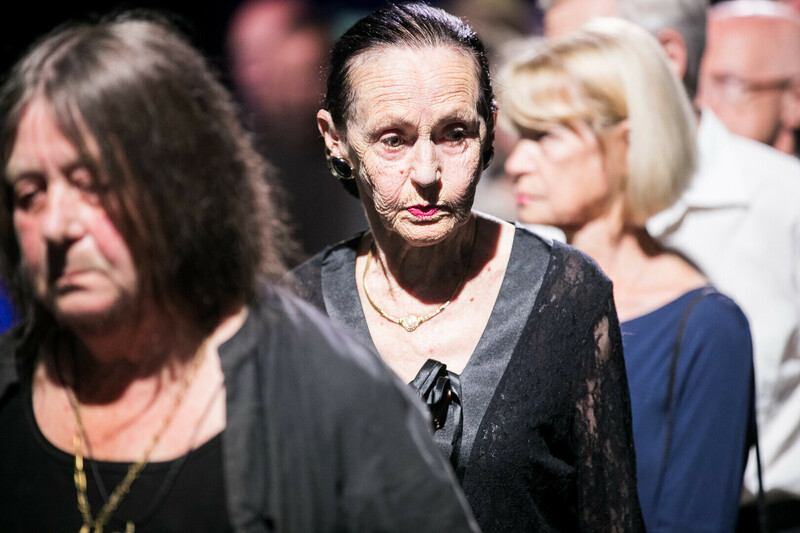 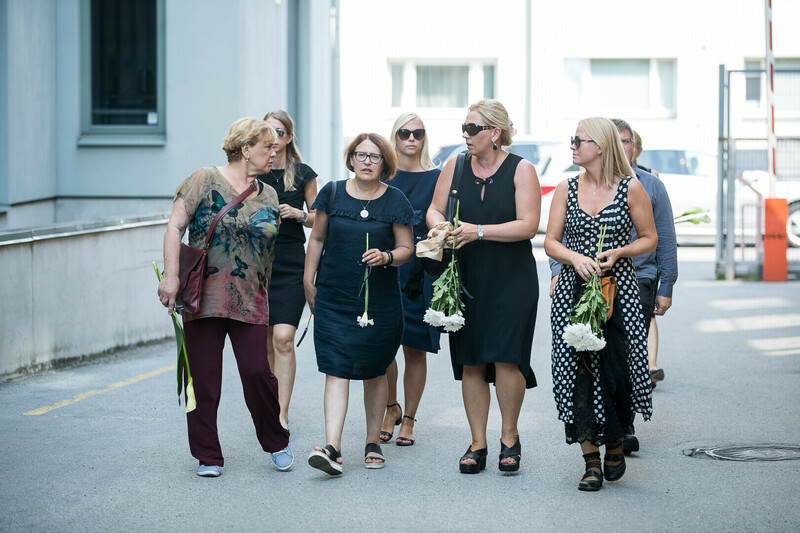 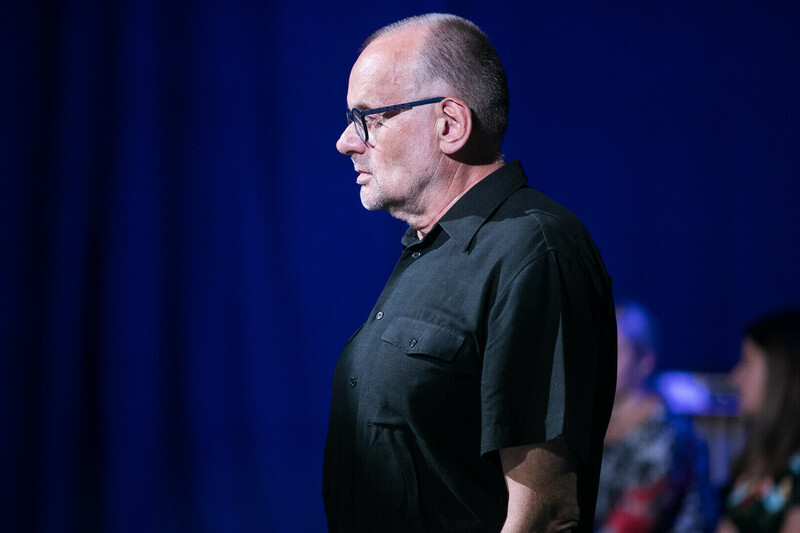 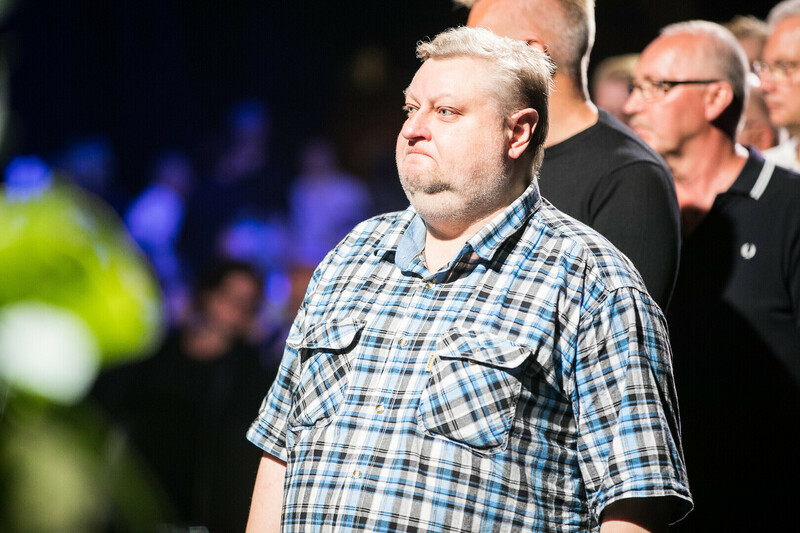 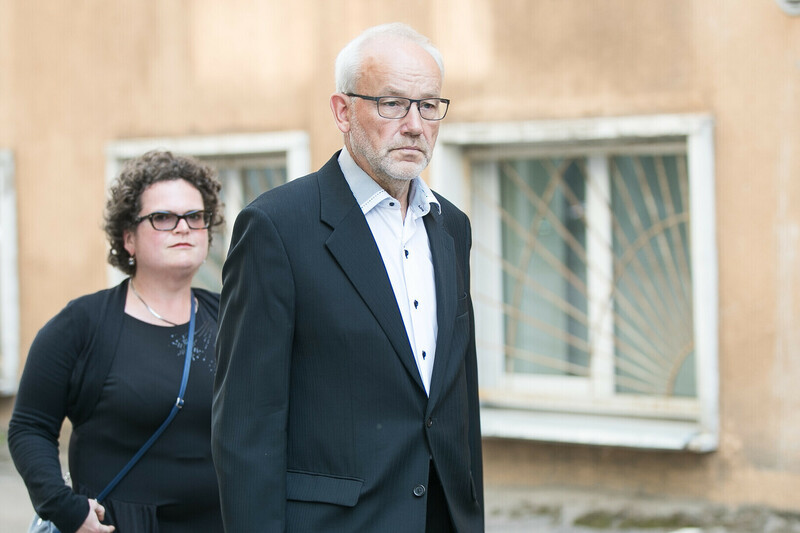 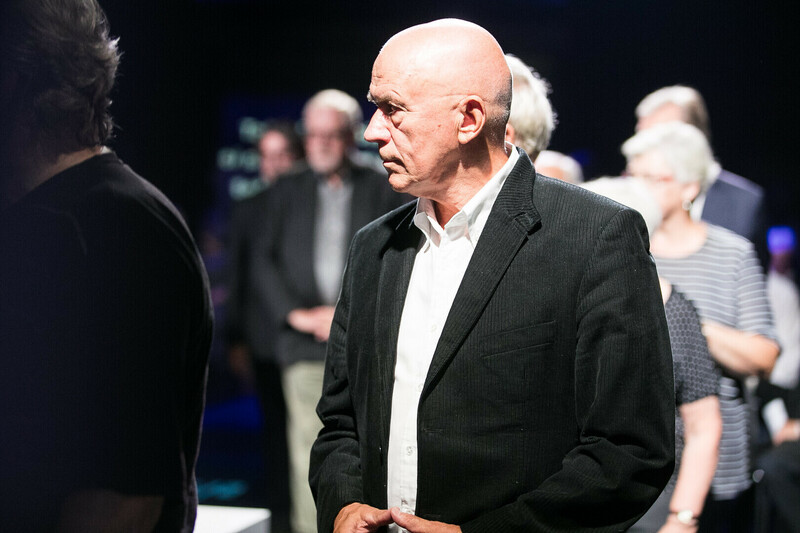 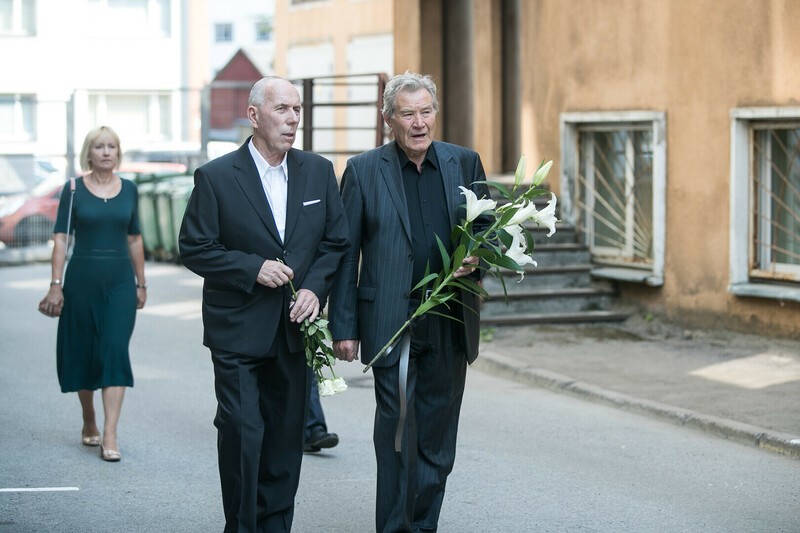 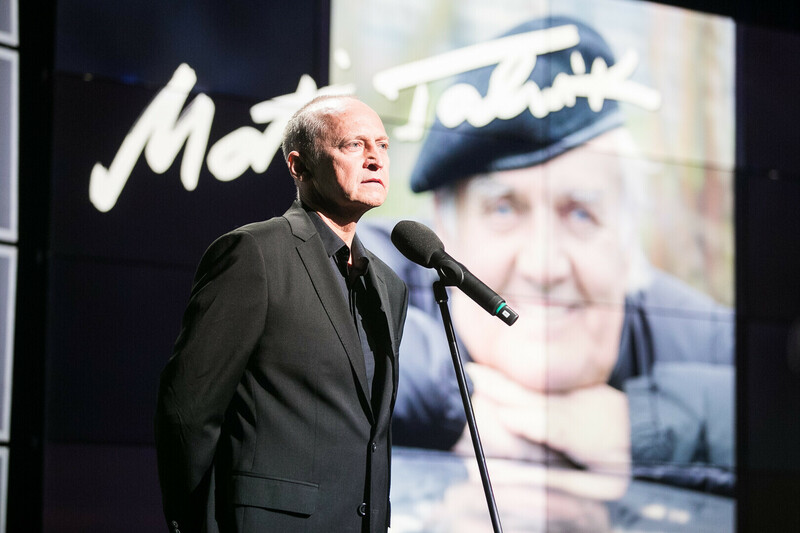 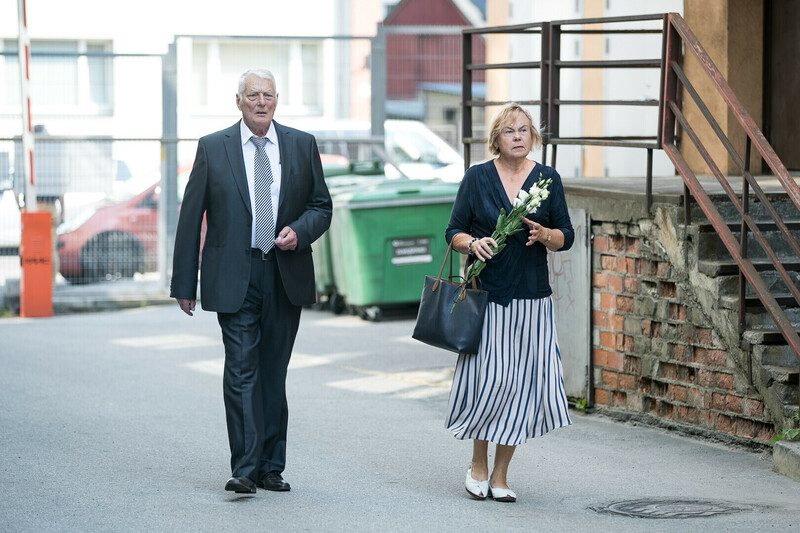 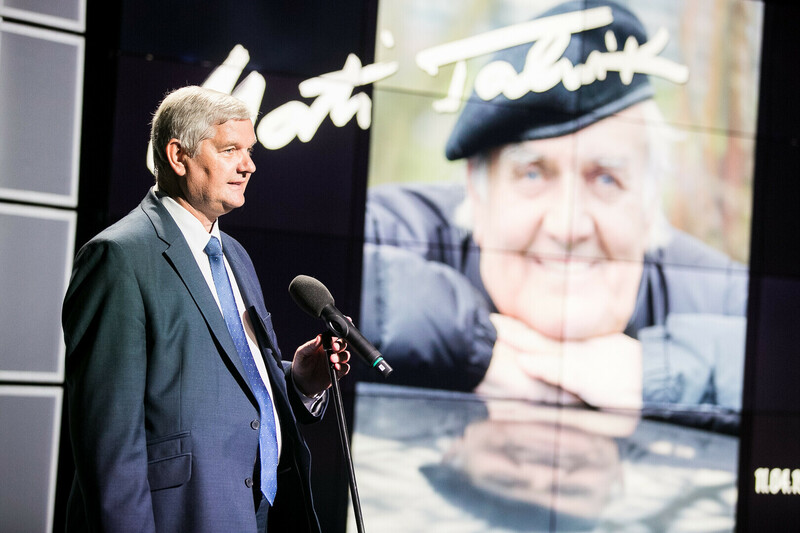 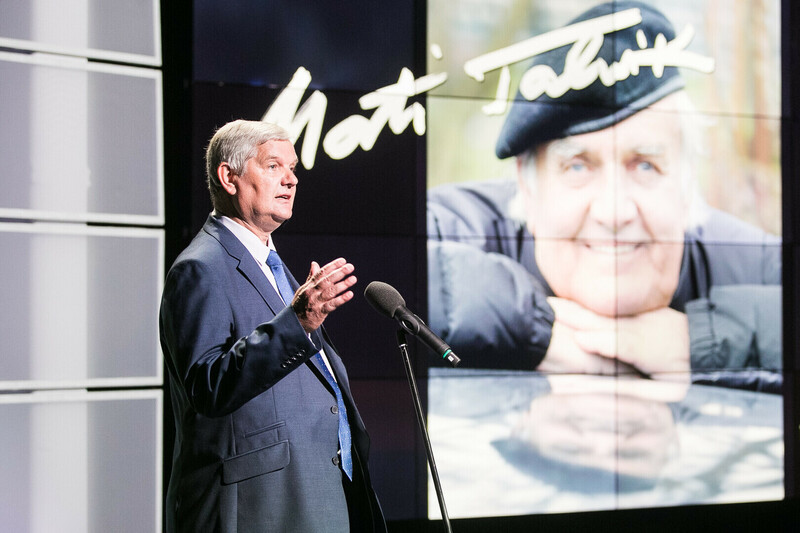 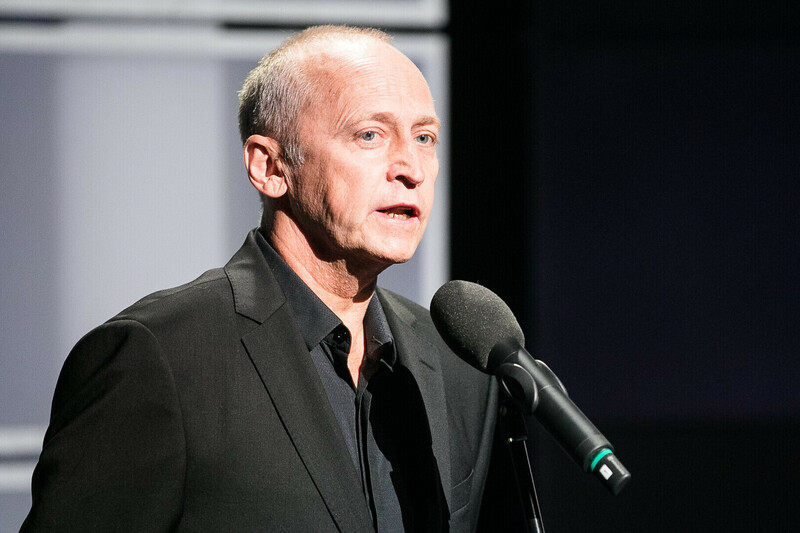 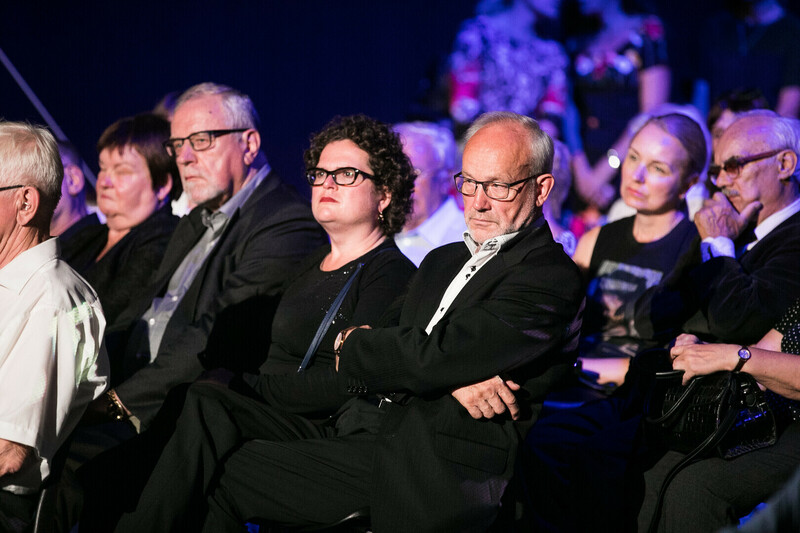 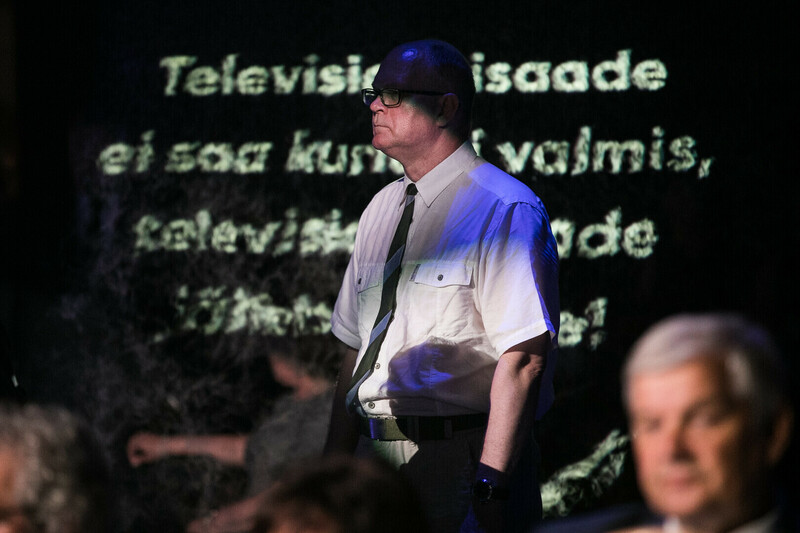 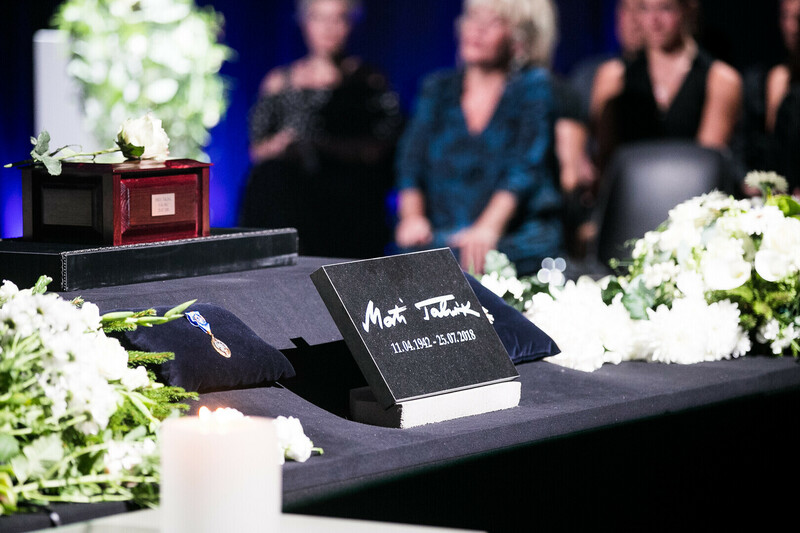 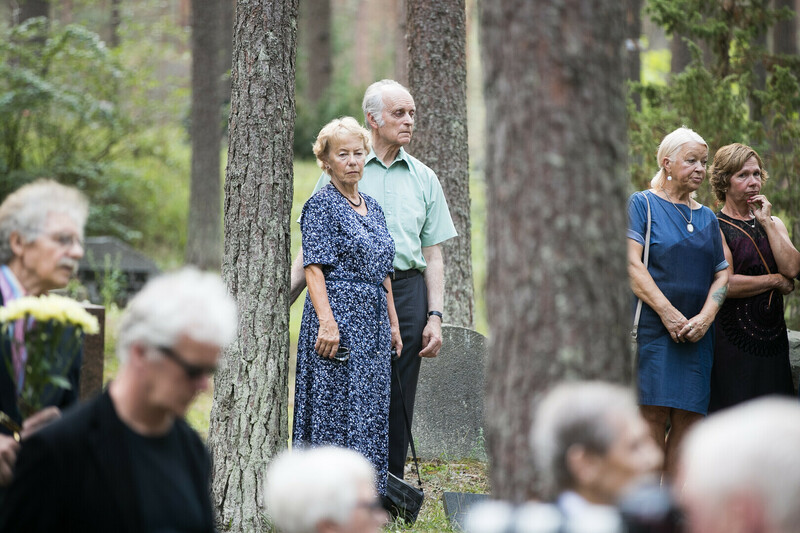 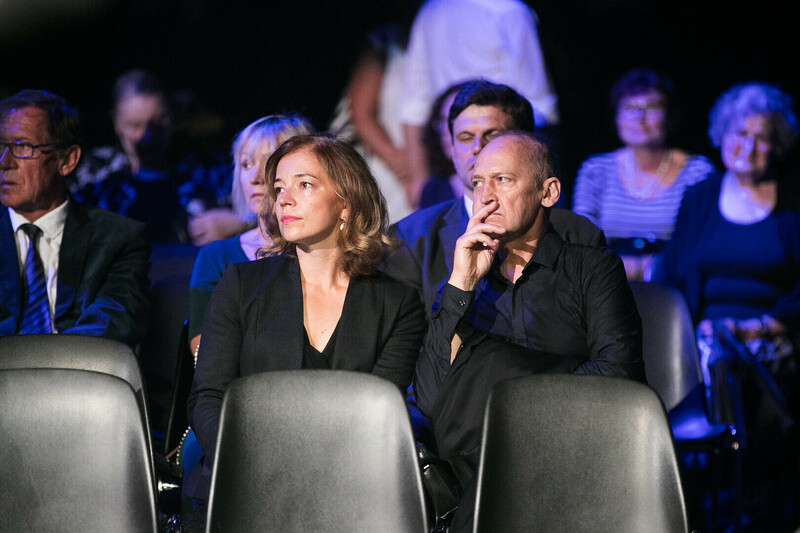 Mourners gathered at the Estonian Television building in Tallinn to pay their last respects to longtime ETV journalist Mati Talvik, who died last Wednesday at age 76. 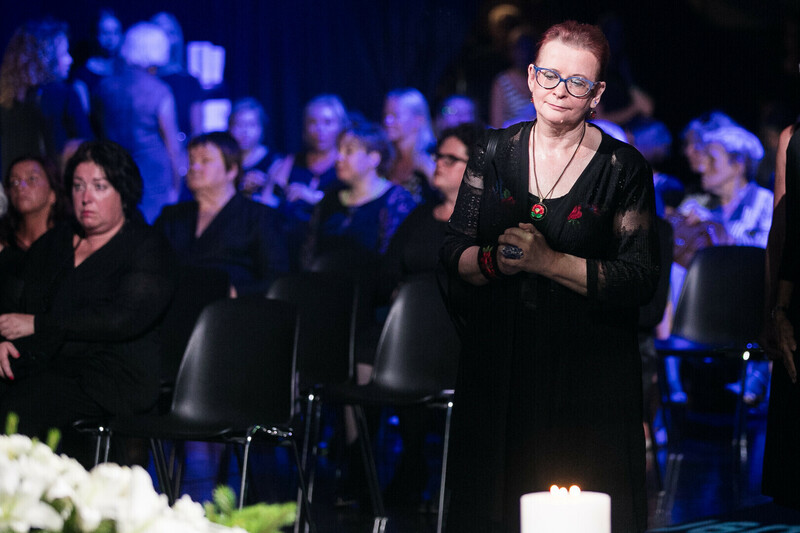 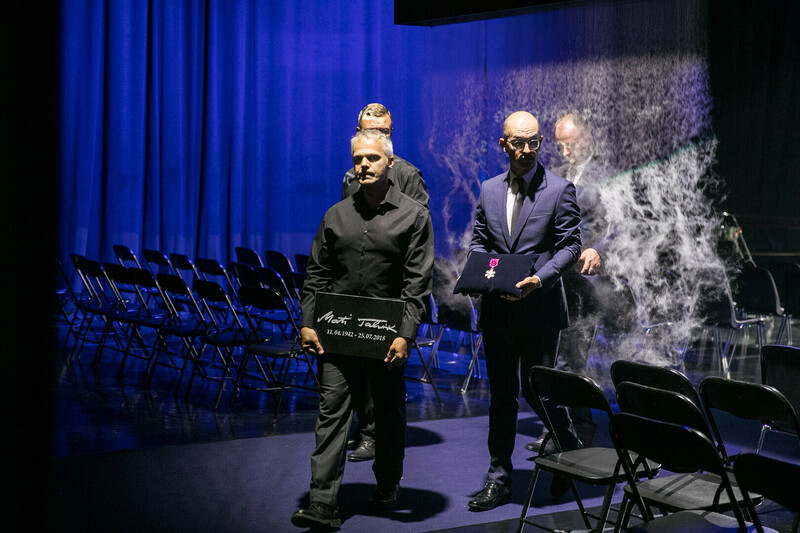 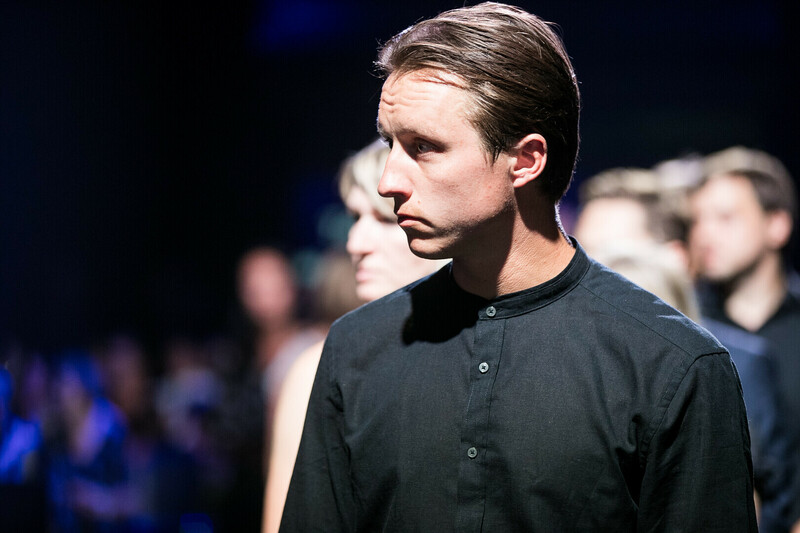 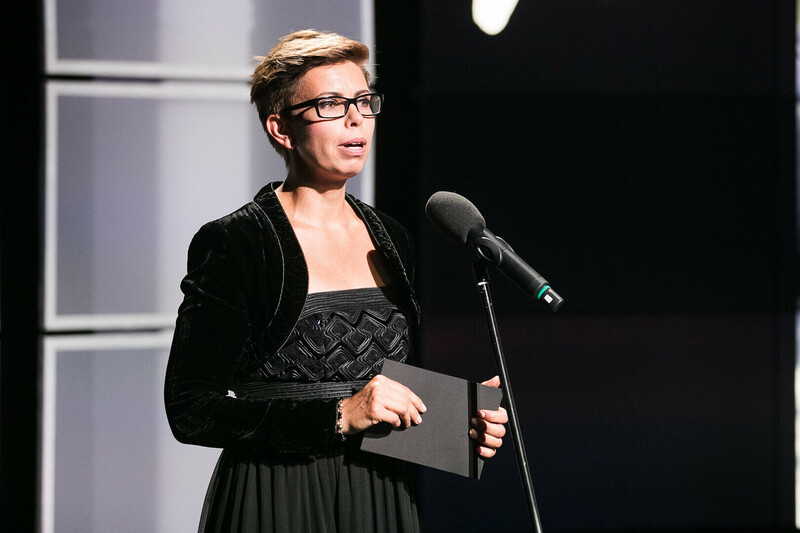 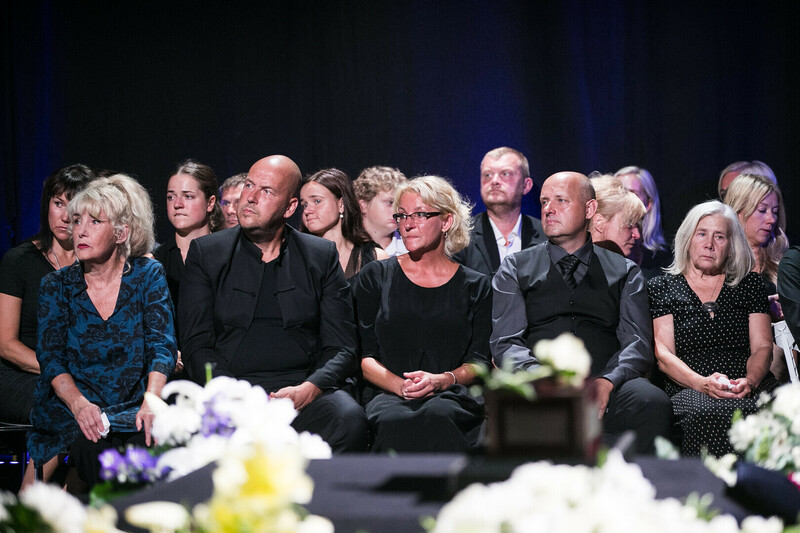 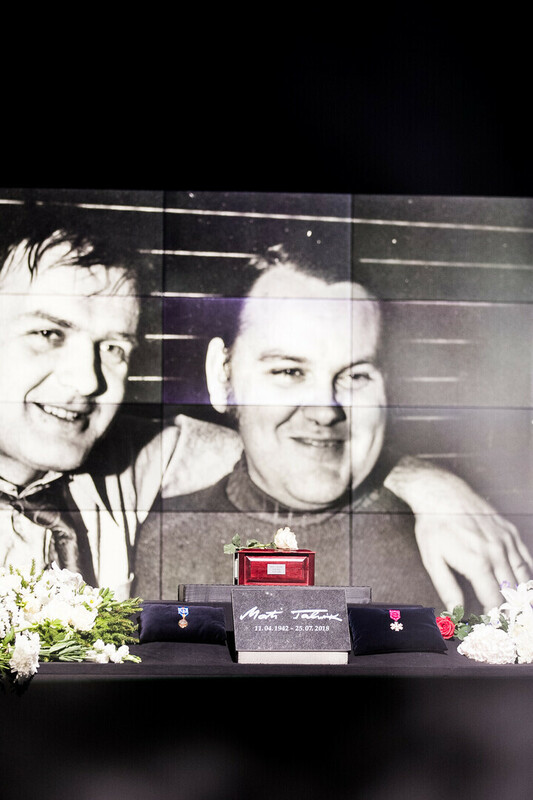 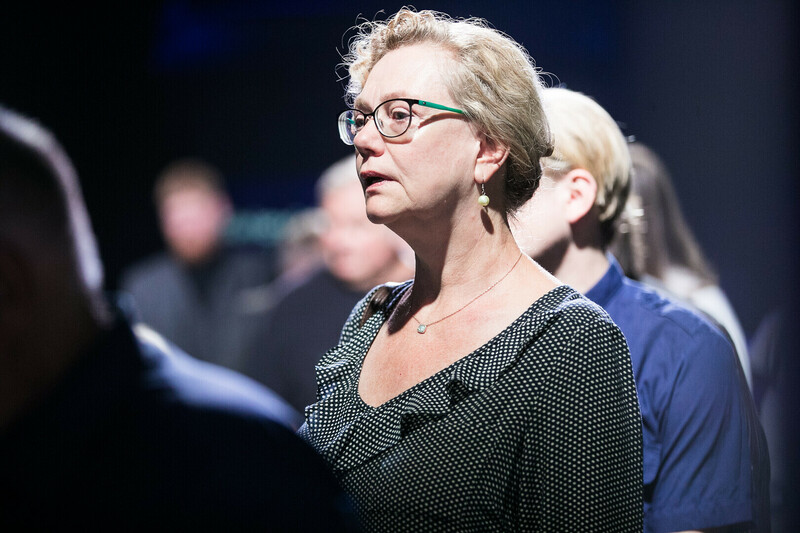 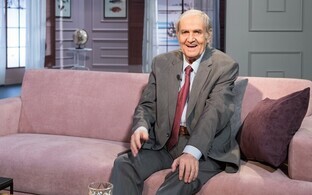 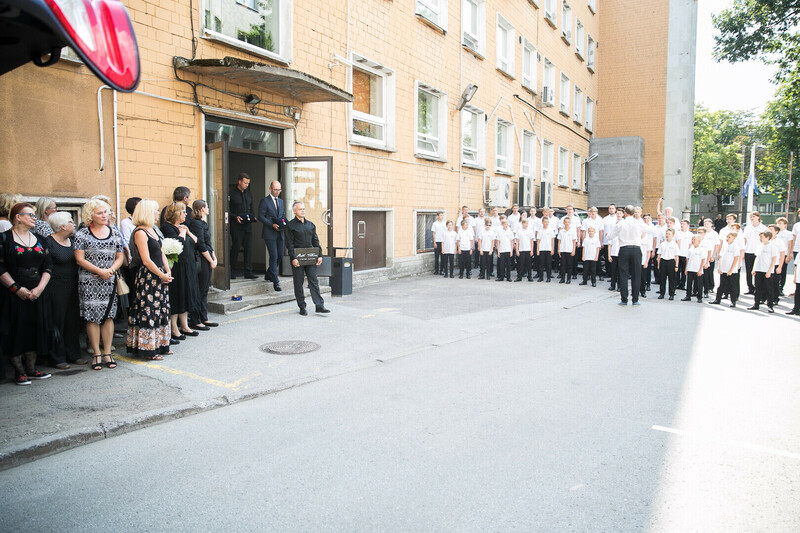 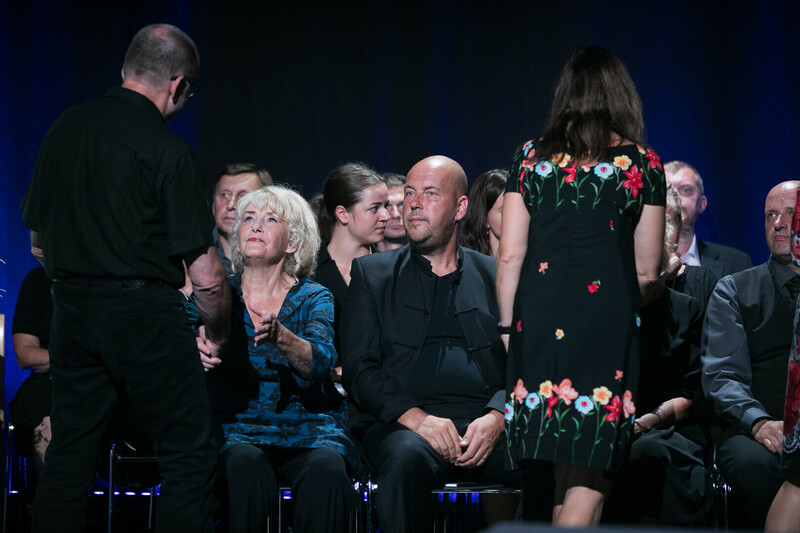 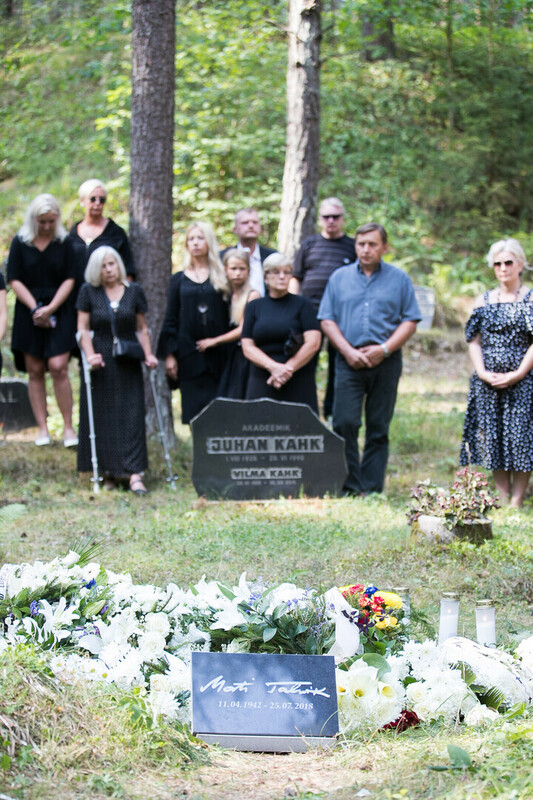 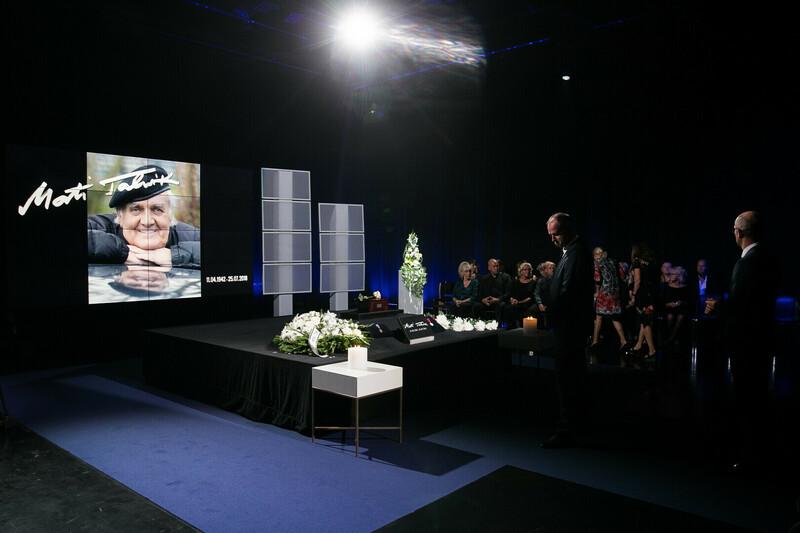 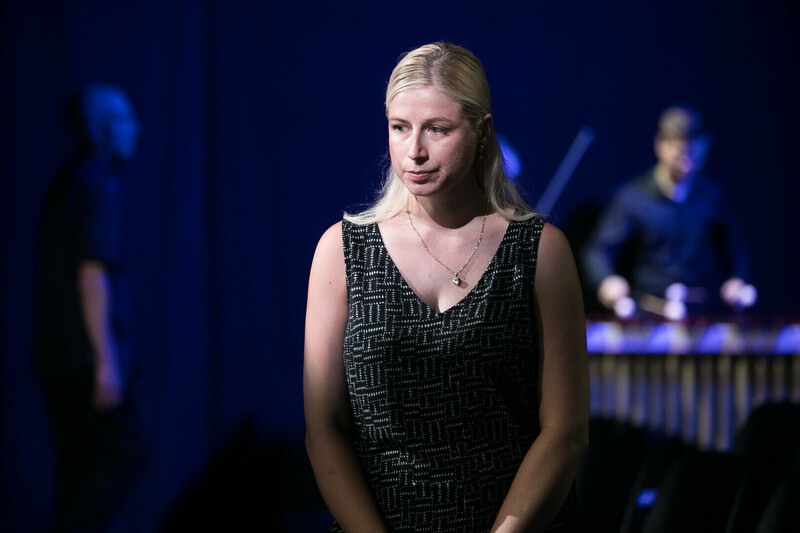 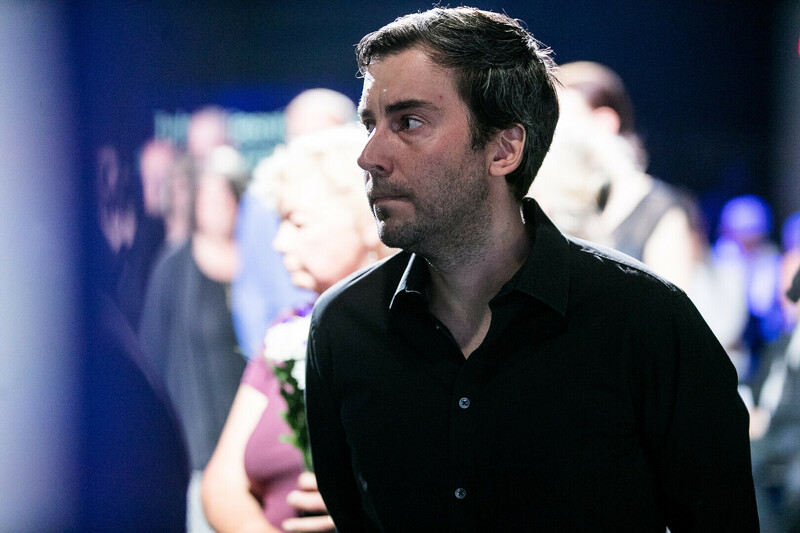 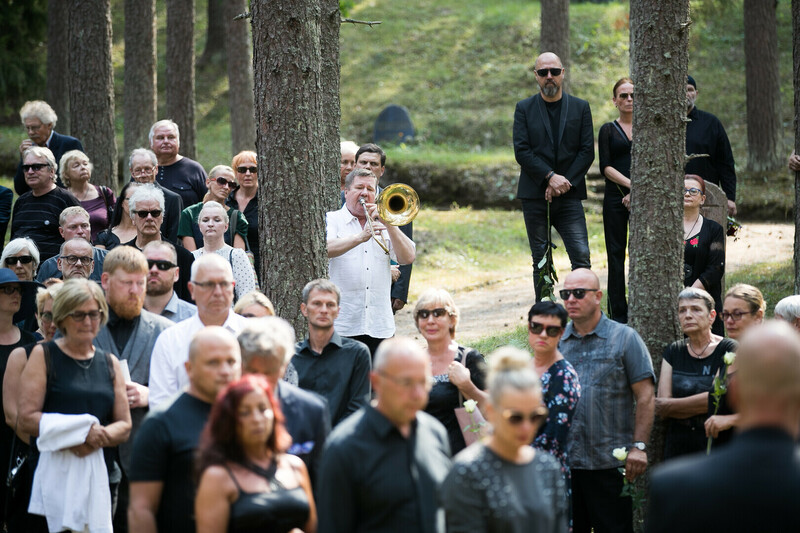 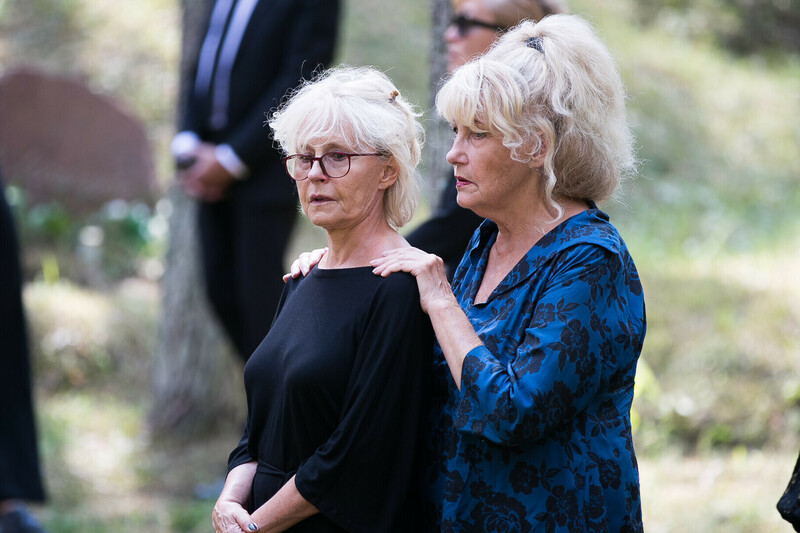 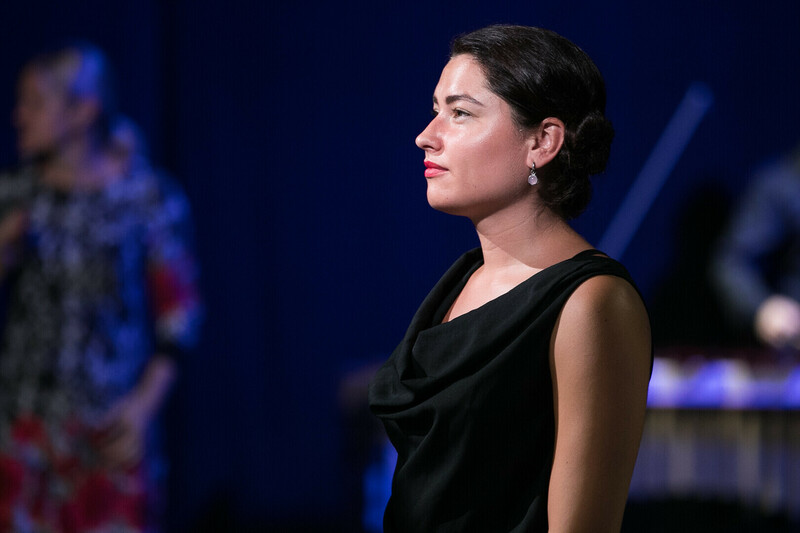 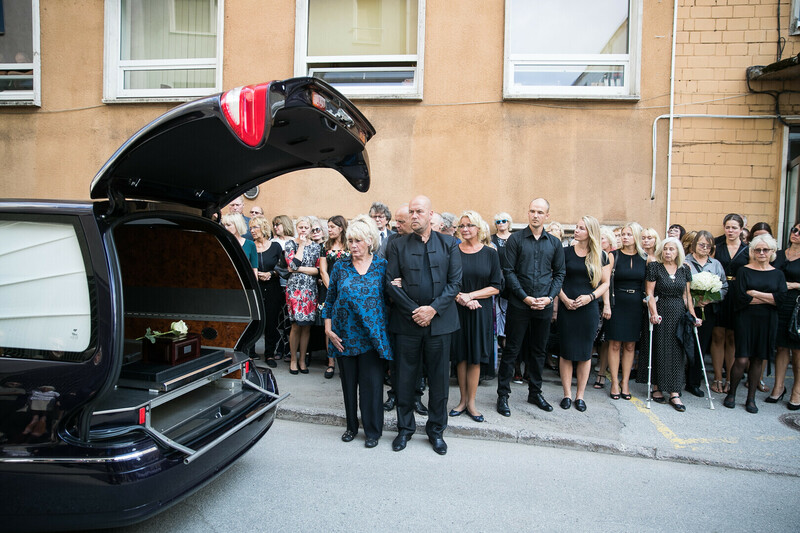 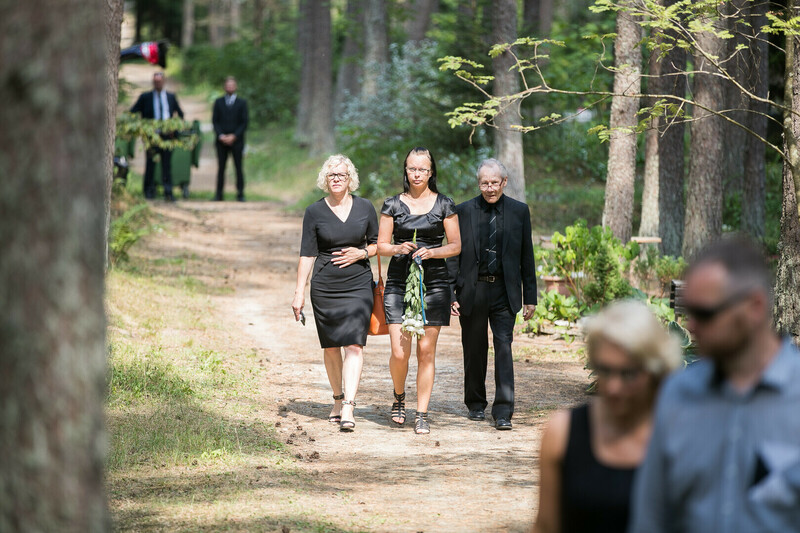 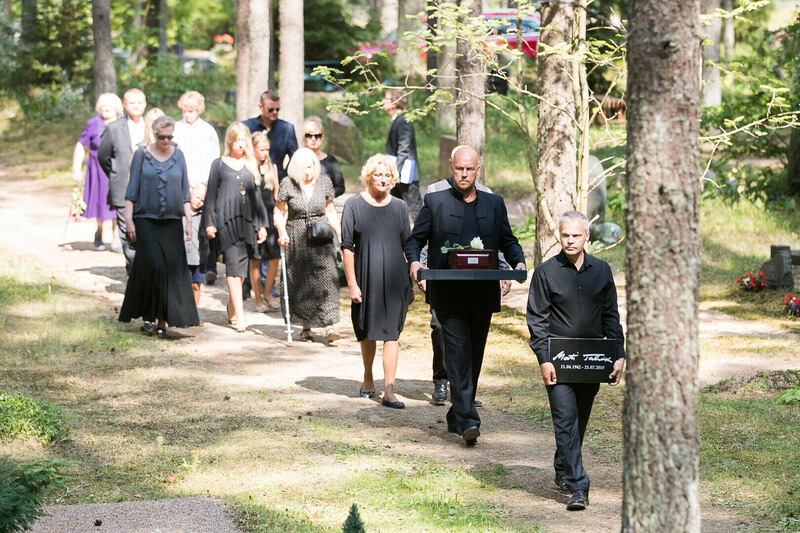 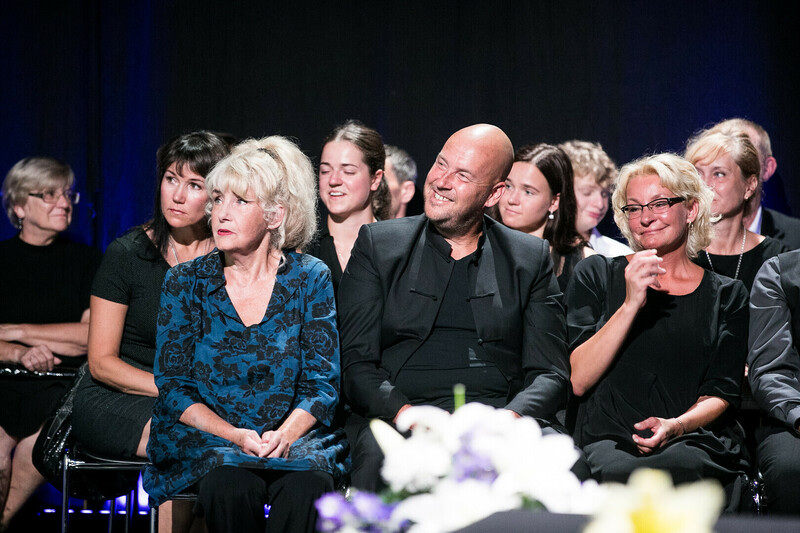 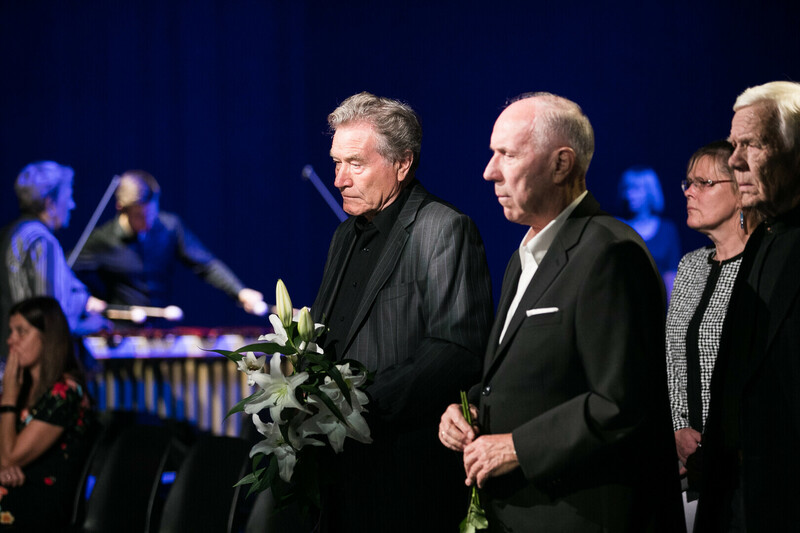 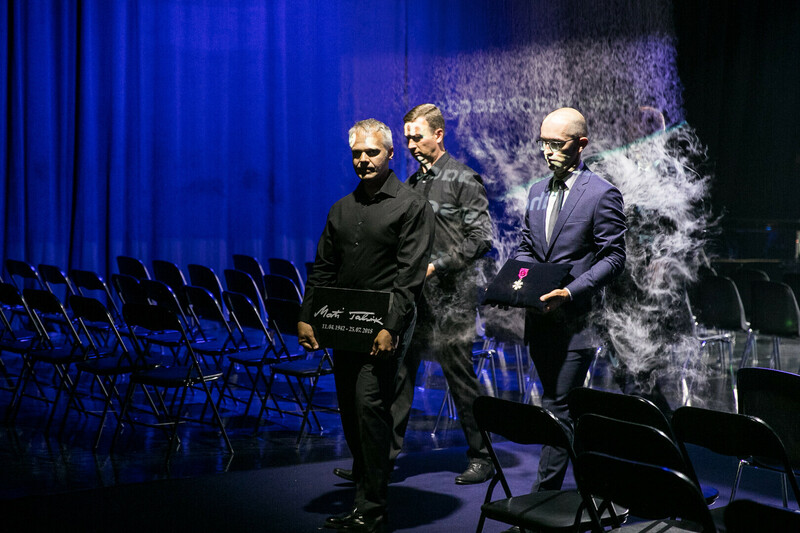 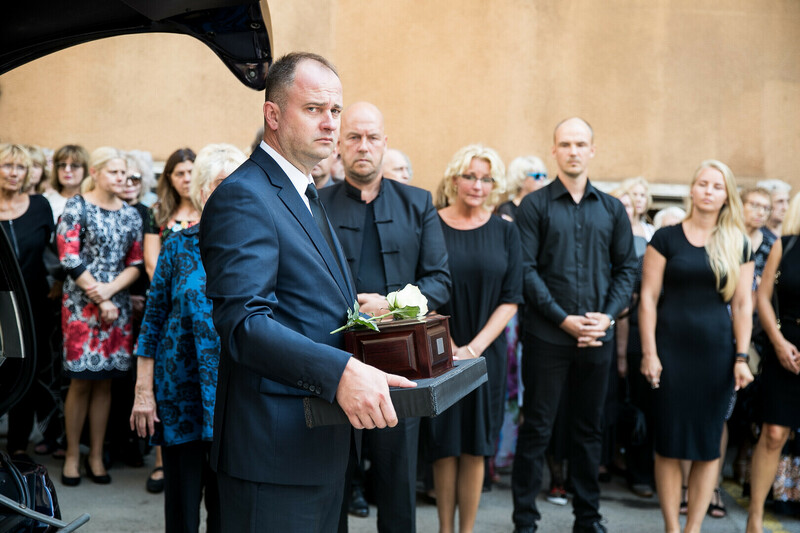 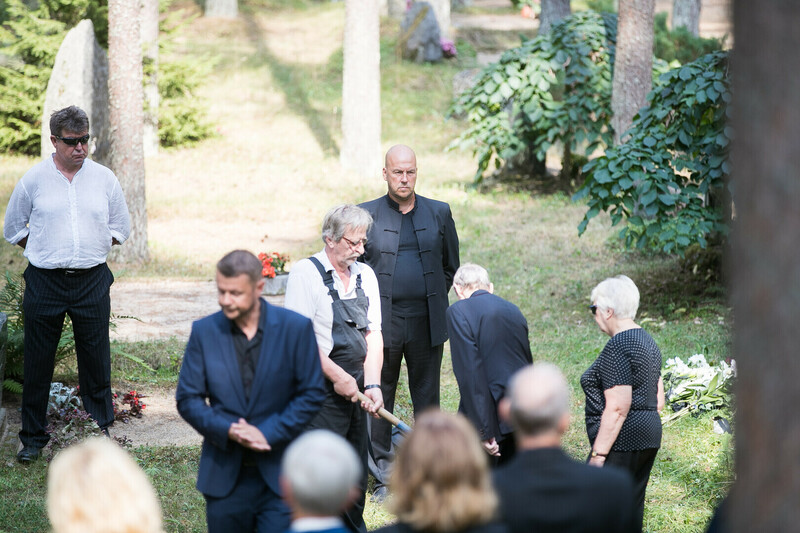 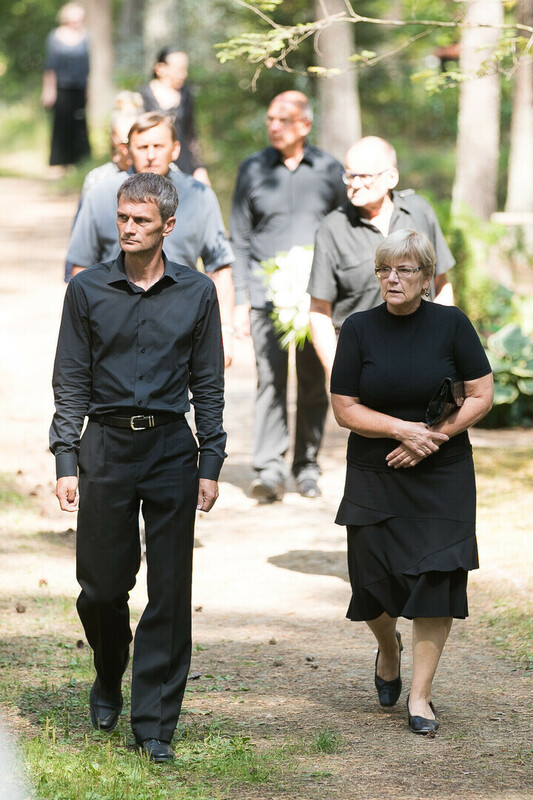 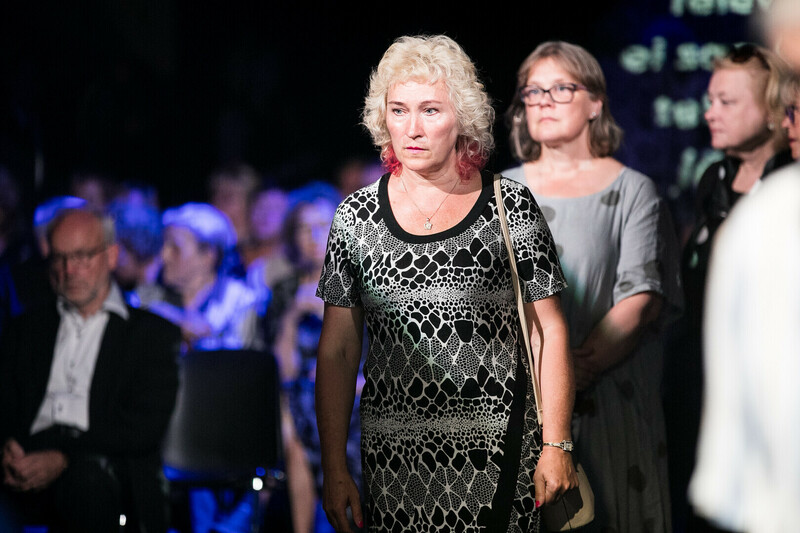 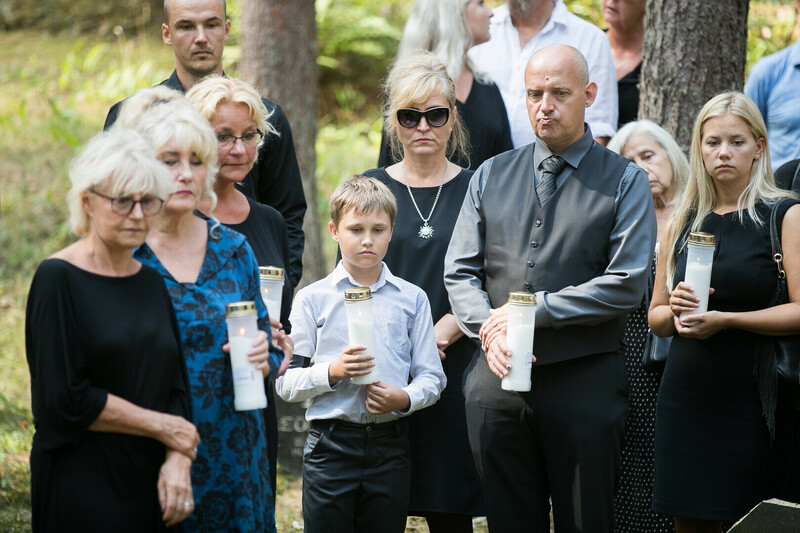 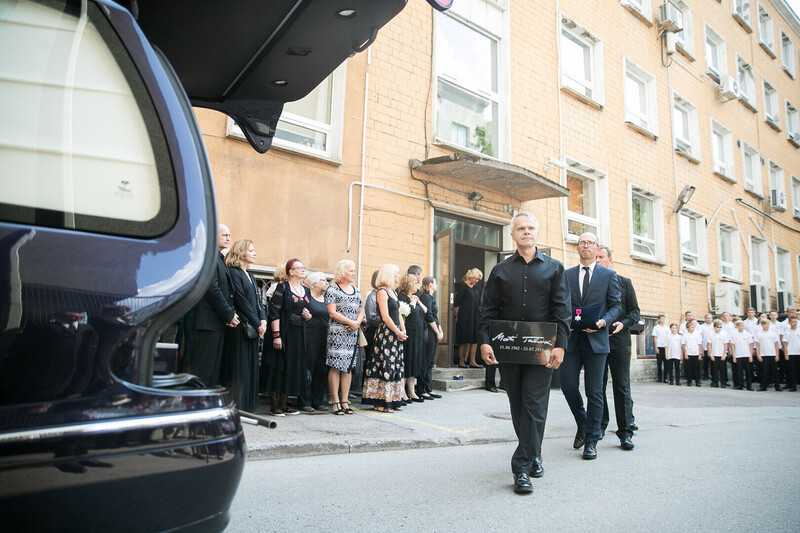 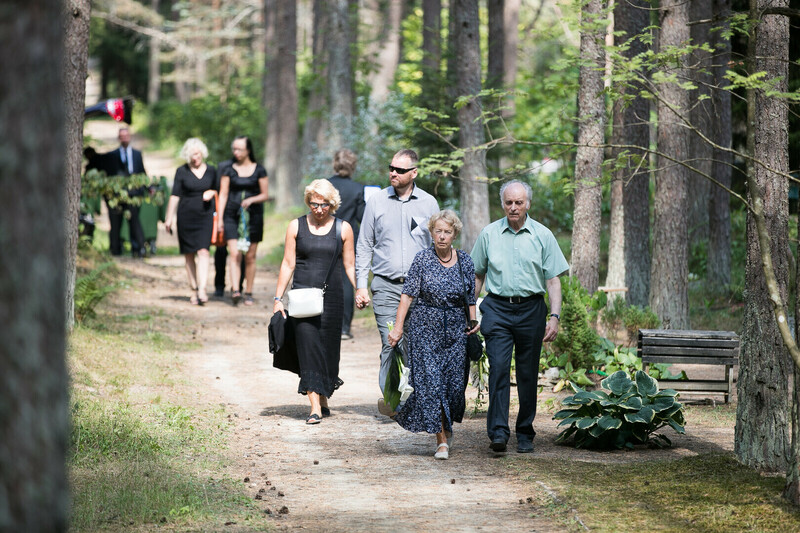 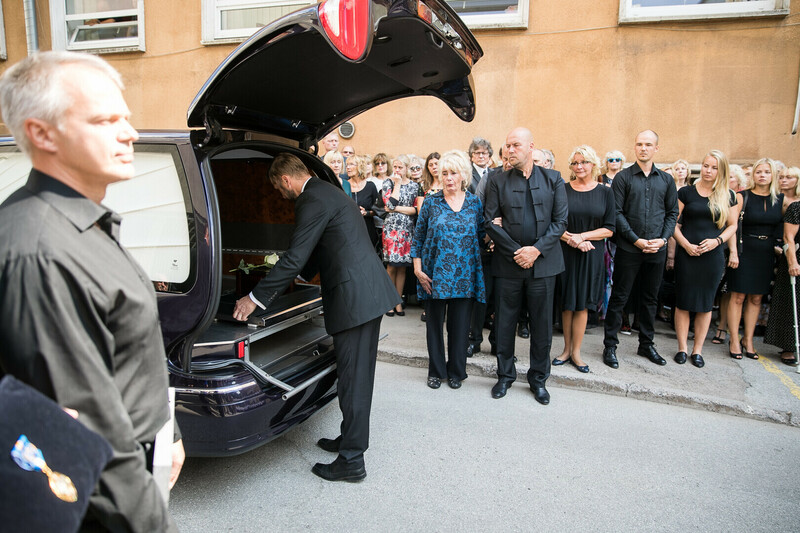 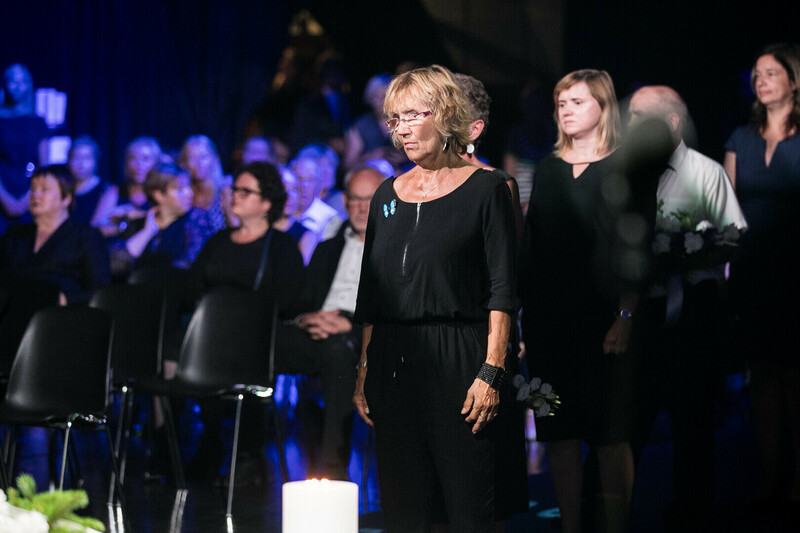 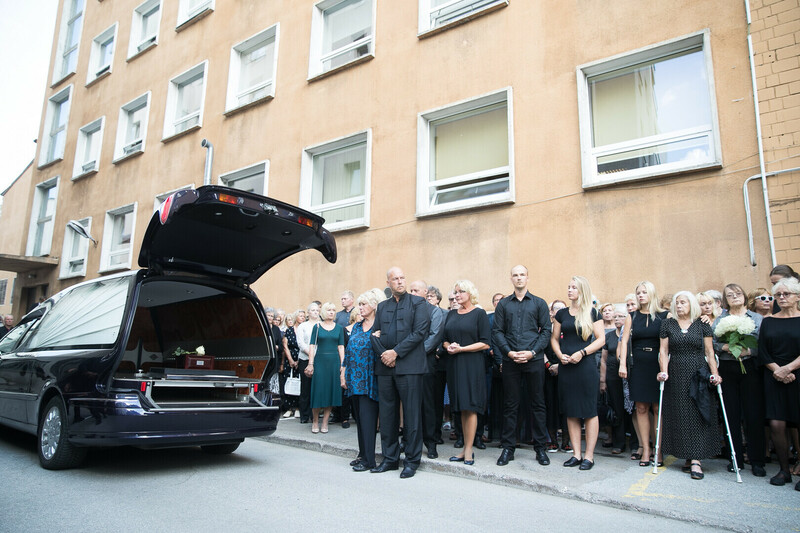 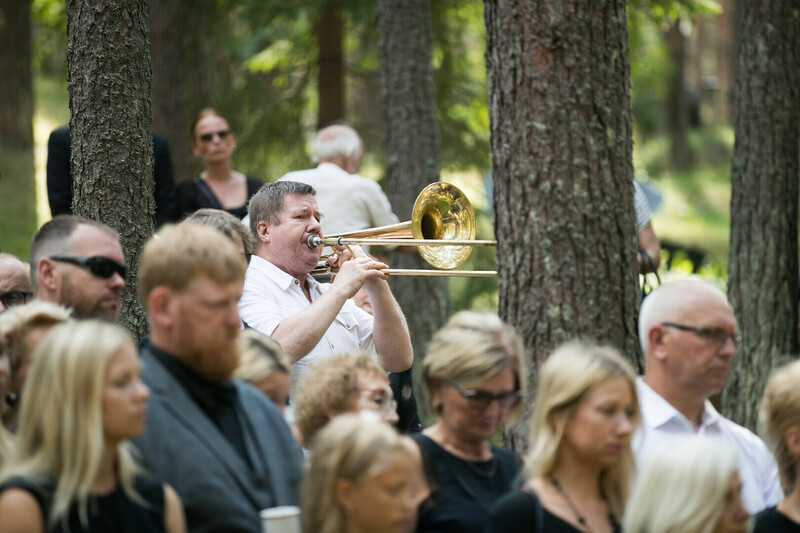 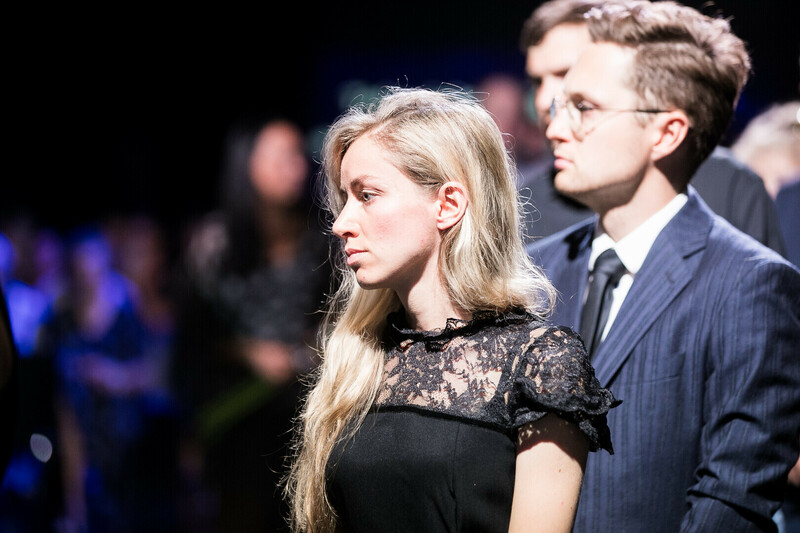 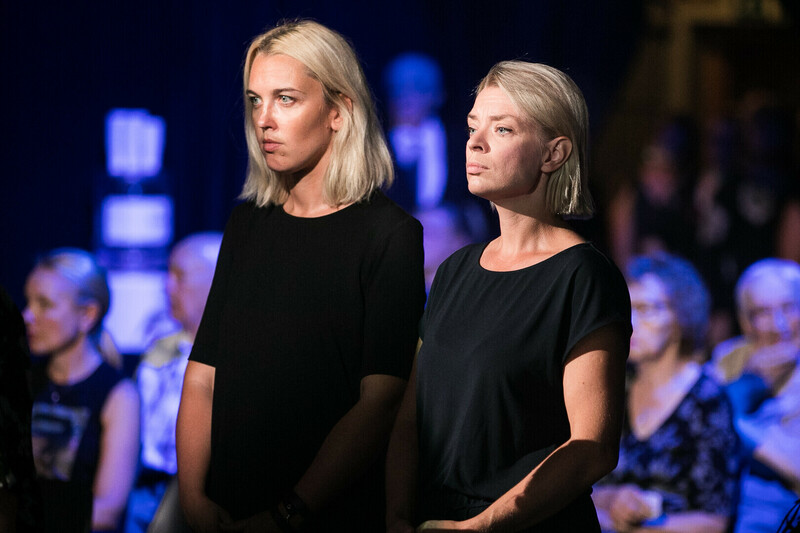 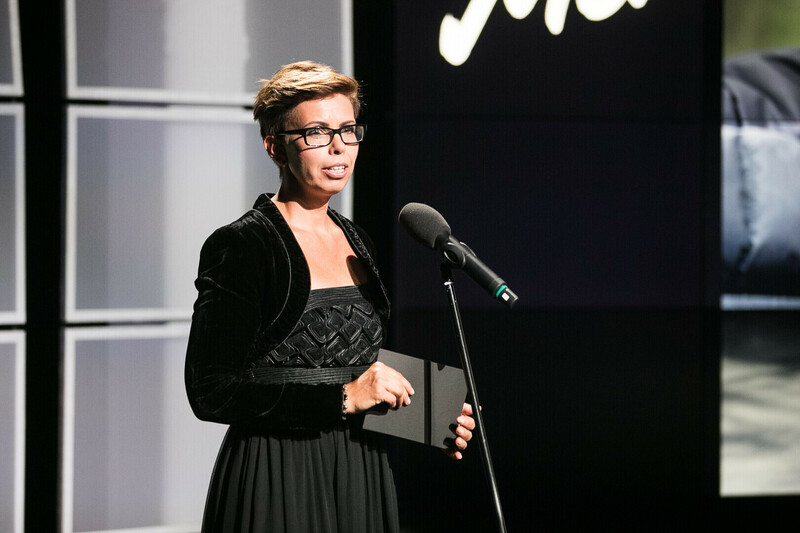 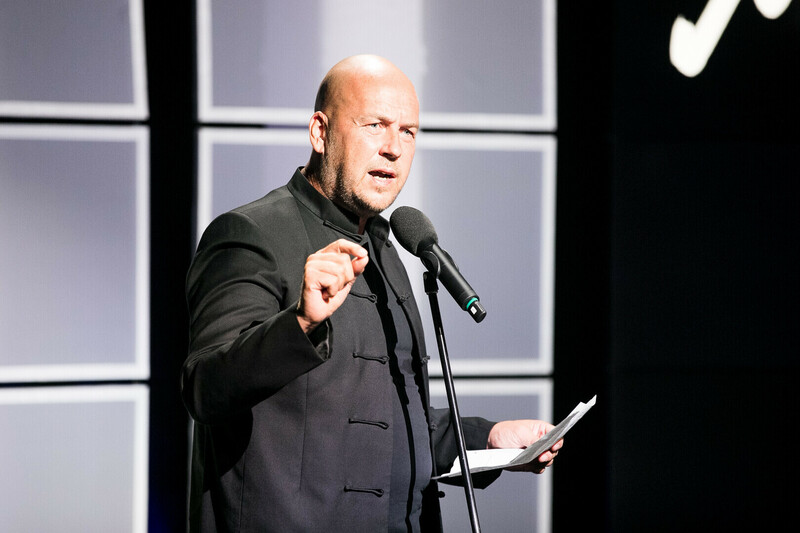 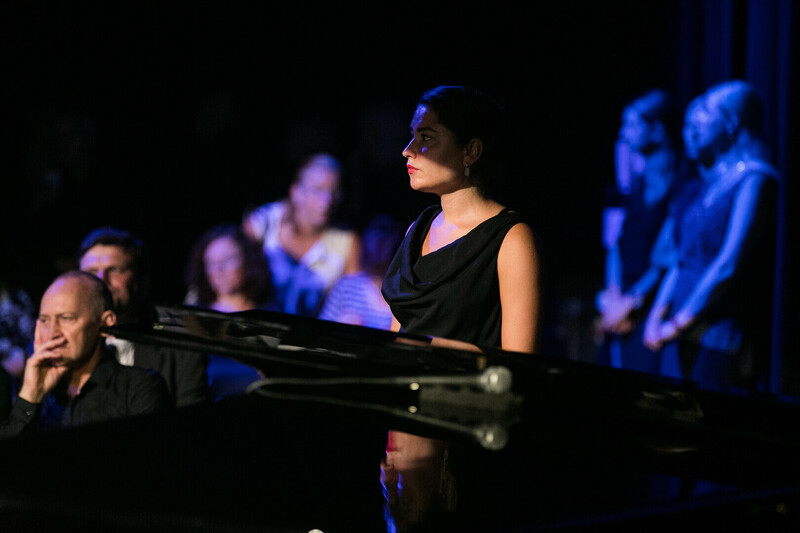 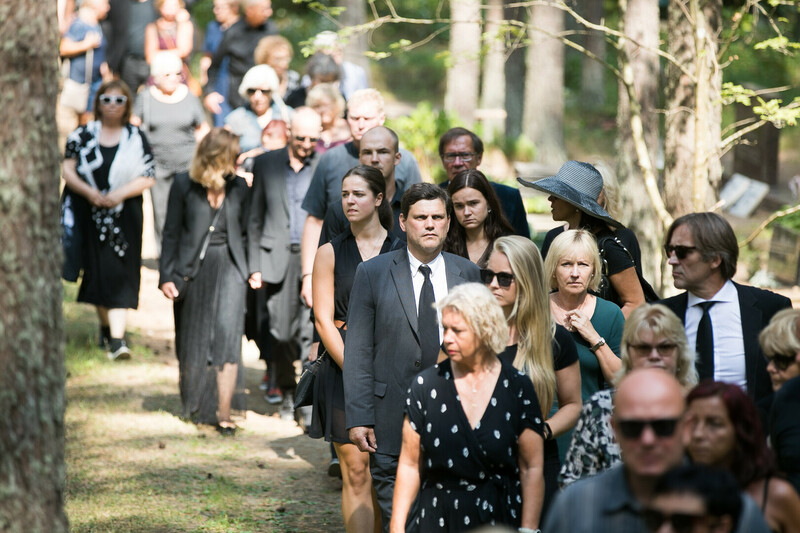 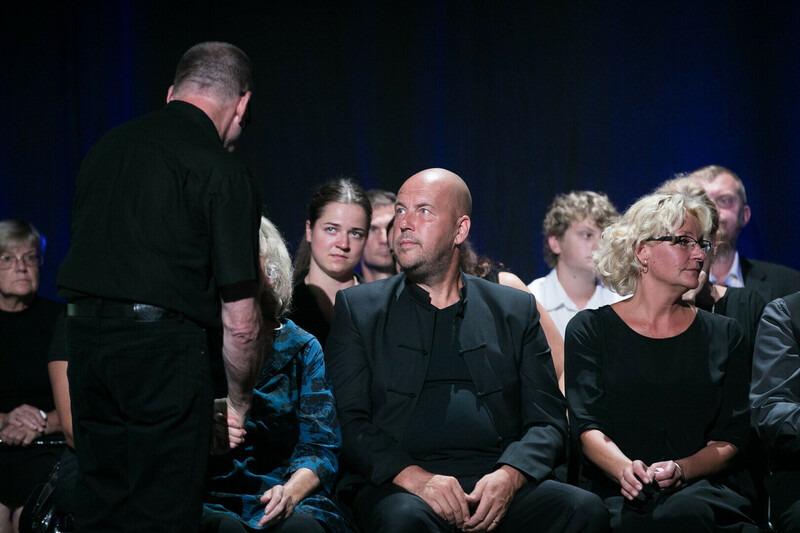 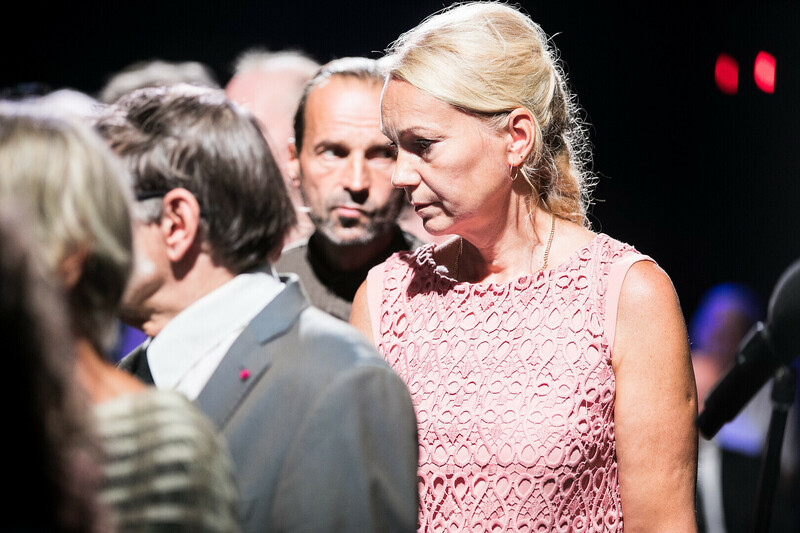 The funeral service, which was led by Anu Välba, was held in ETV's Studio 4. 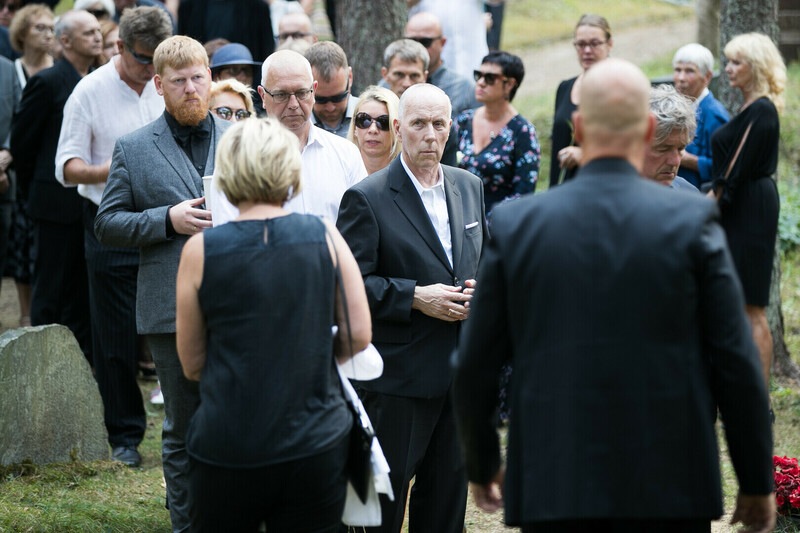 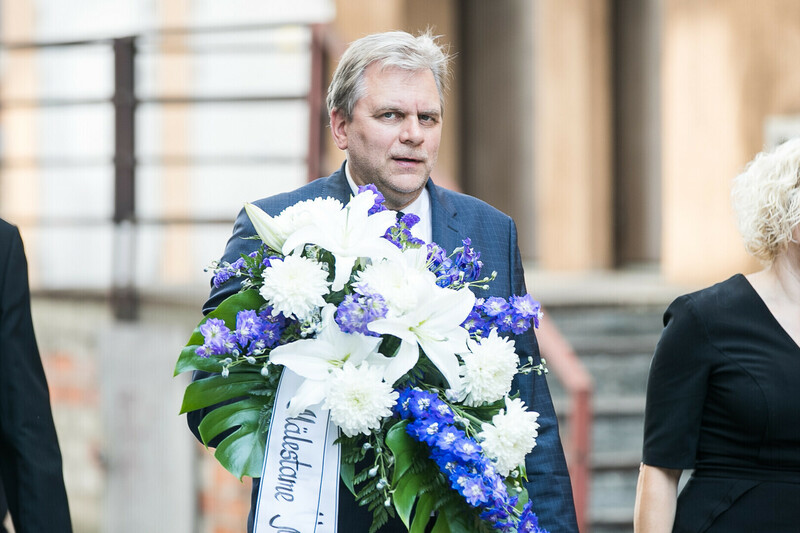 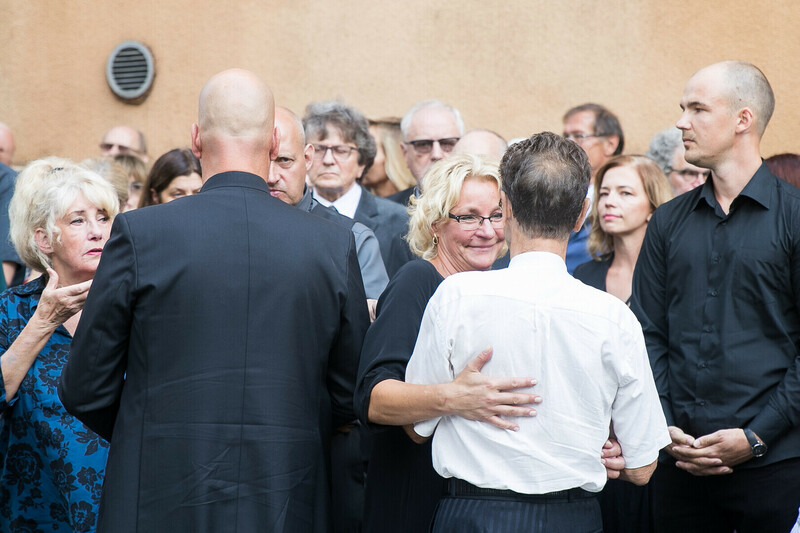 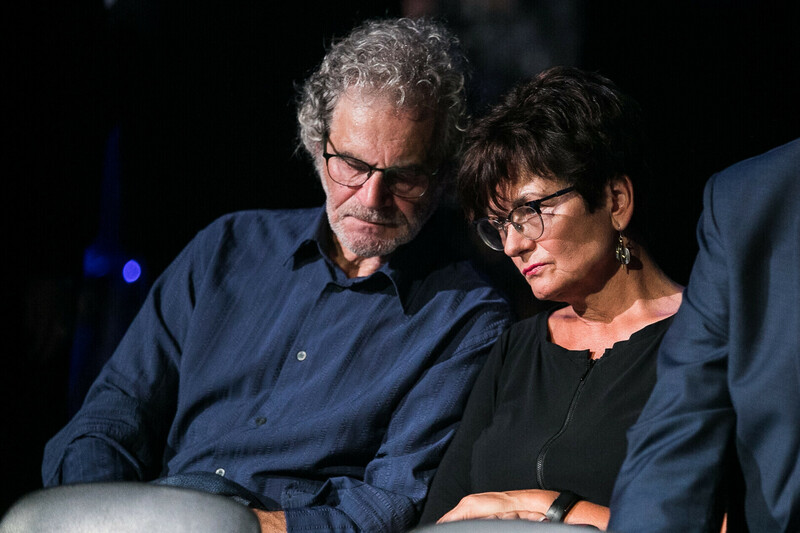 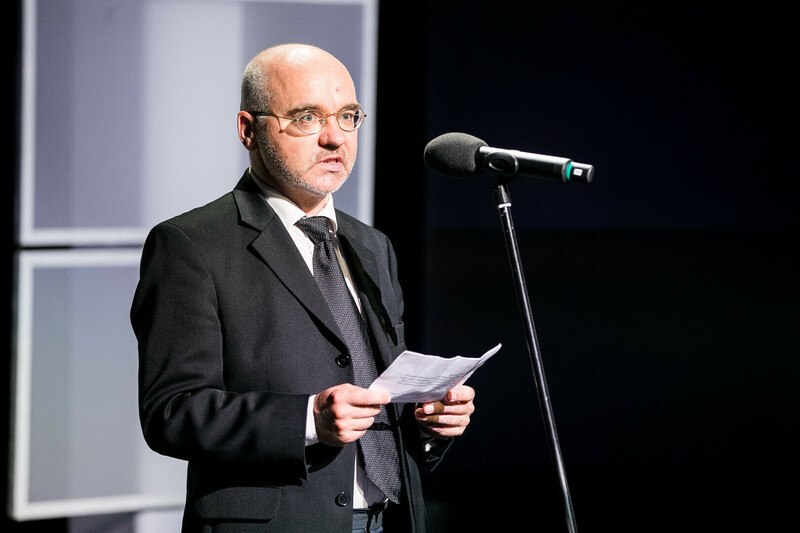 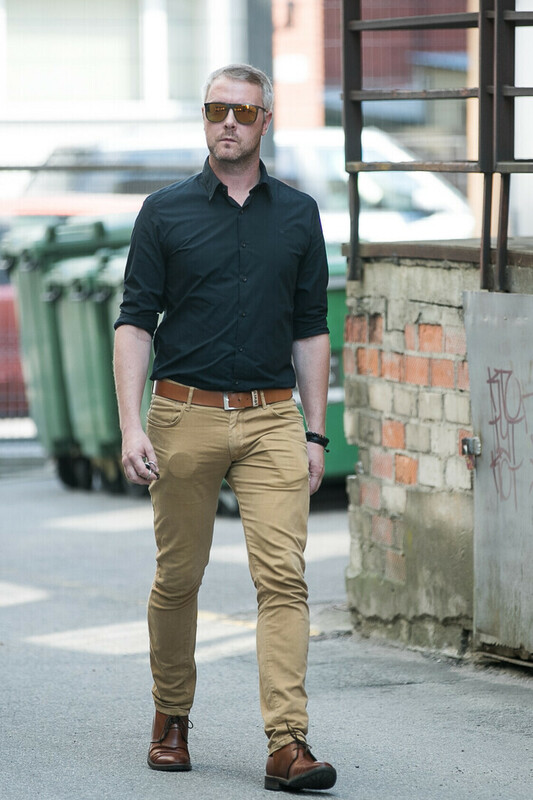 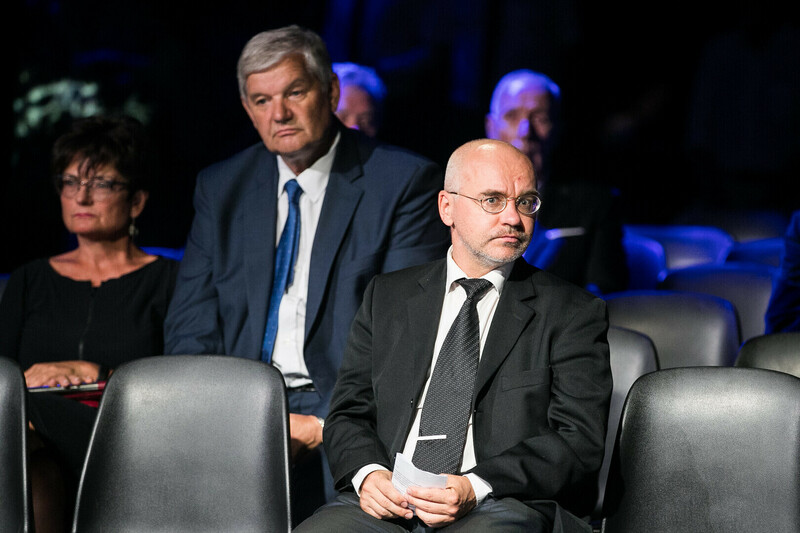 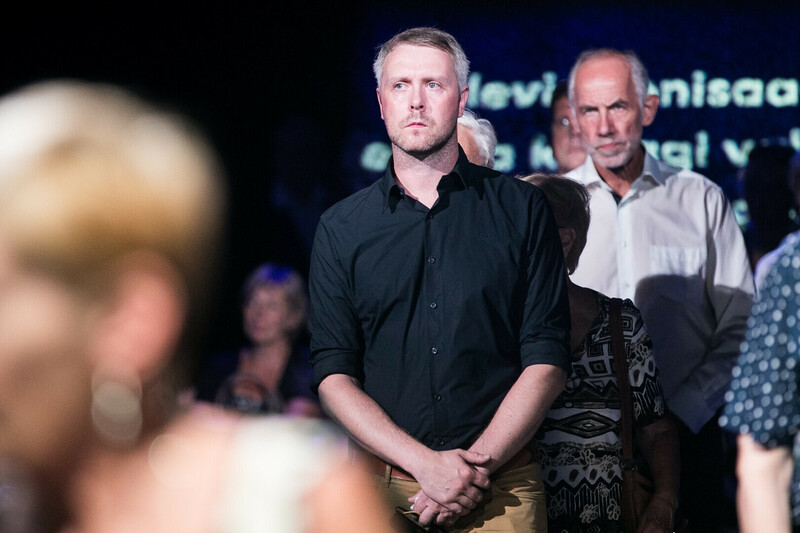 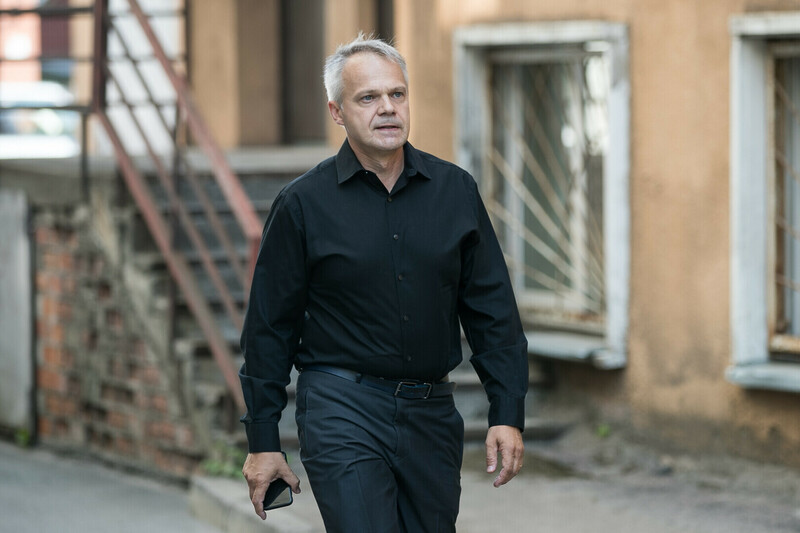 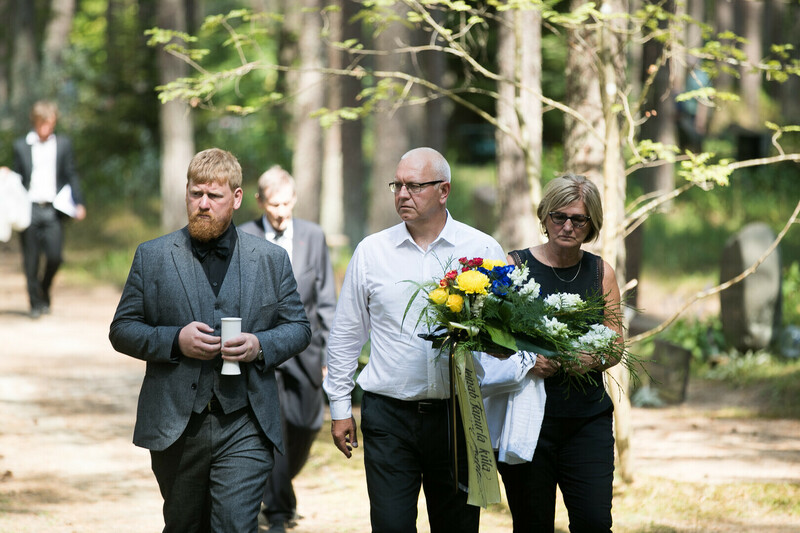 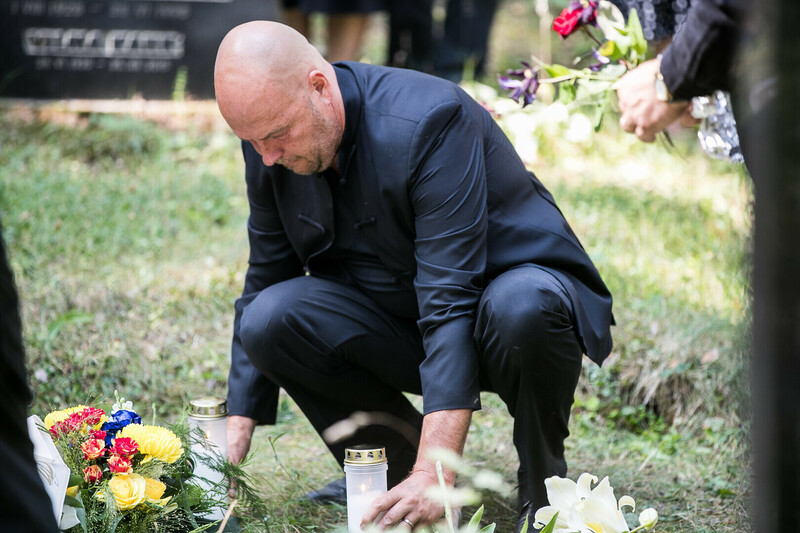 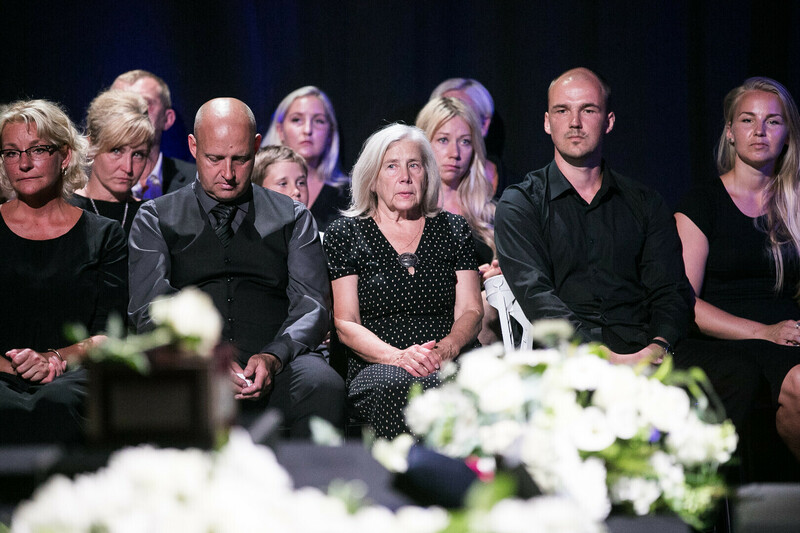 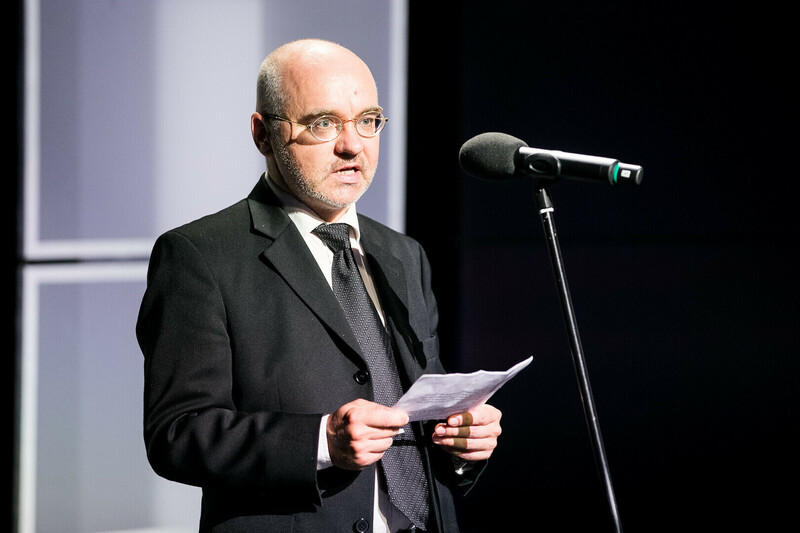 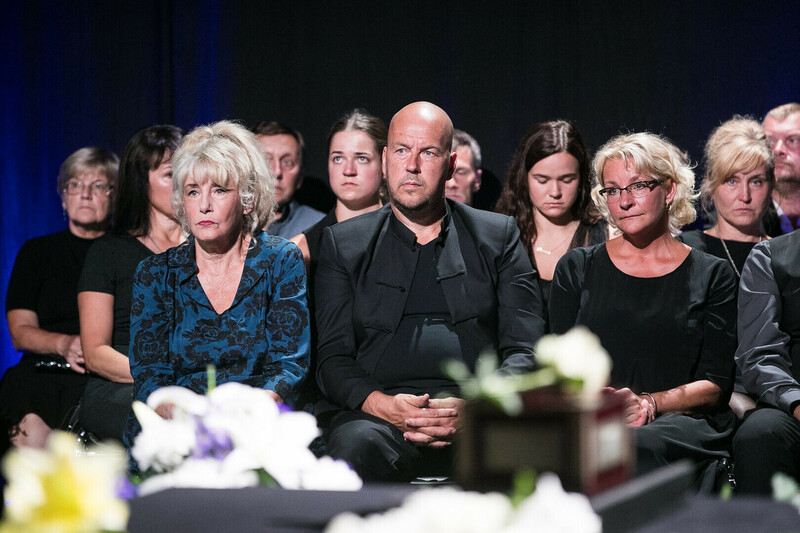 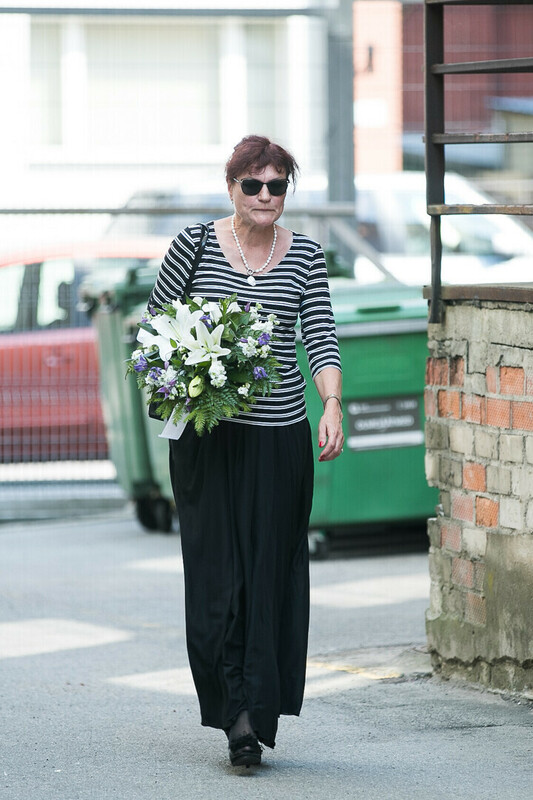 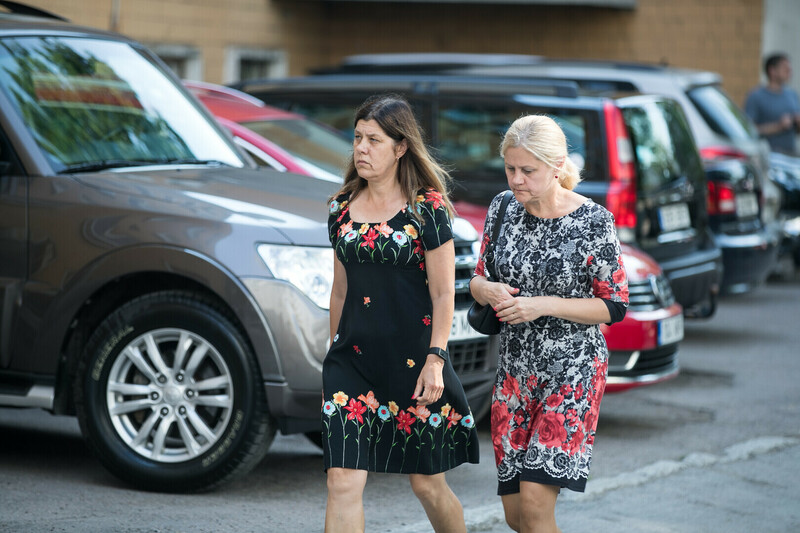 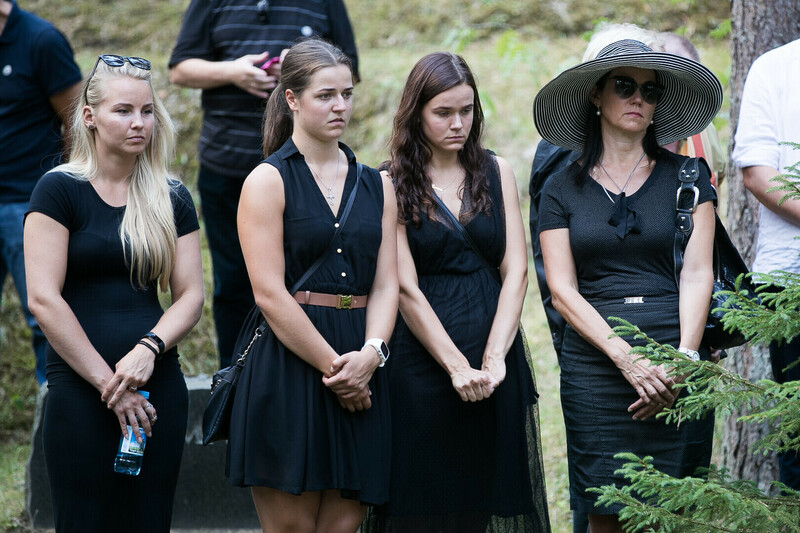 ERR board chairman Erik Roose, former ETV journalist Raul Rebane and journalist Vahur Kersna all delivered eulogies, as did Artur Talvik on behalf of the family. 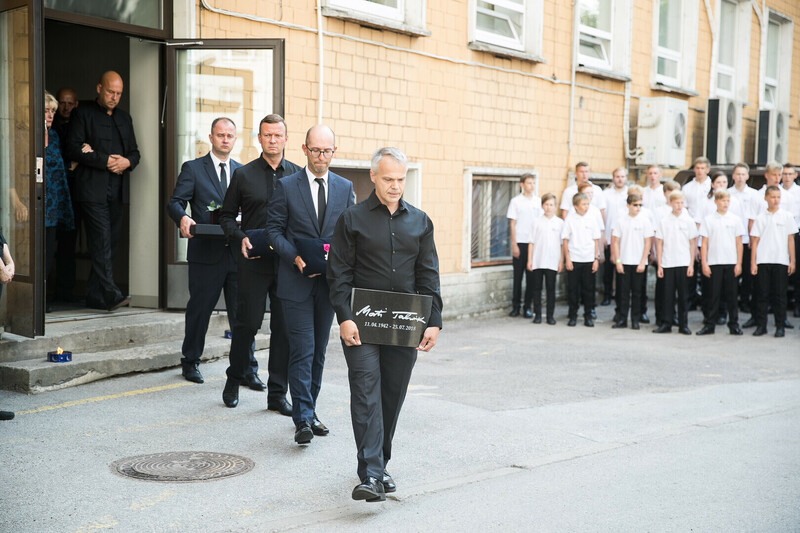 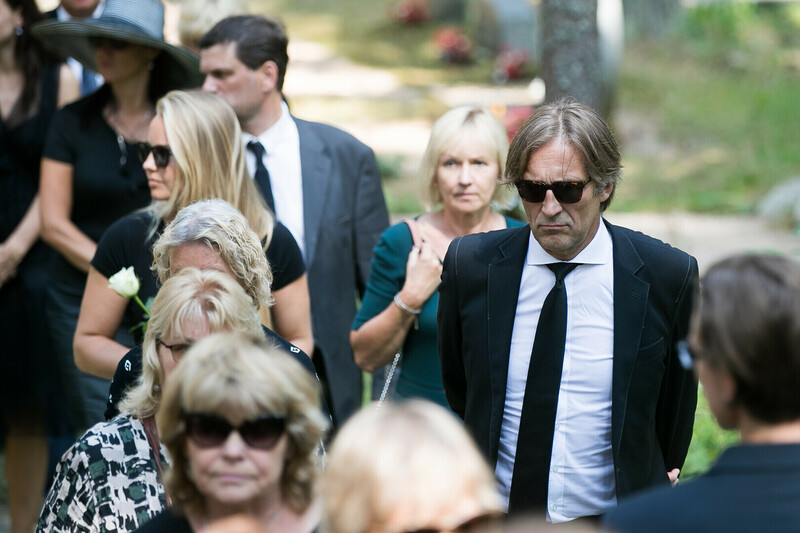 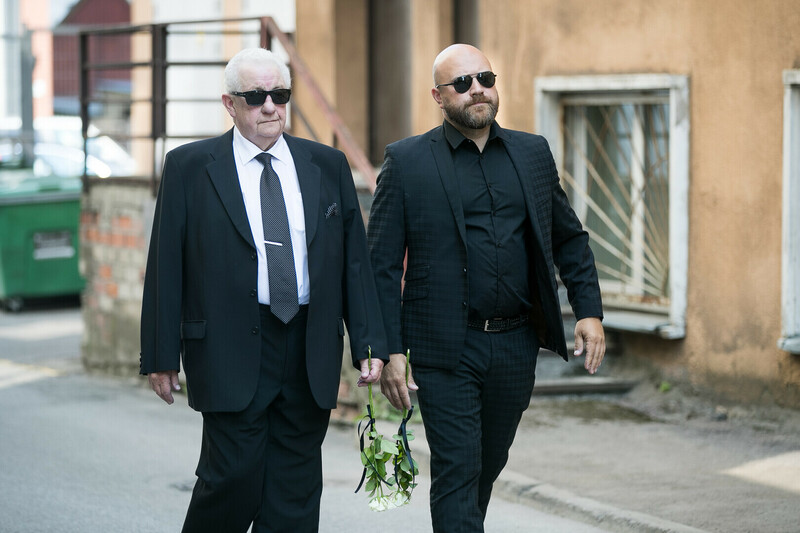 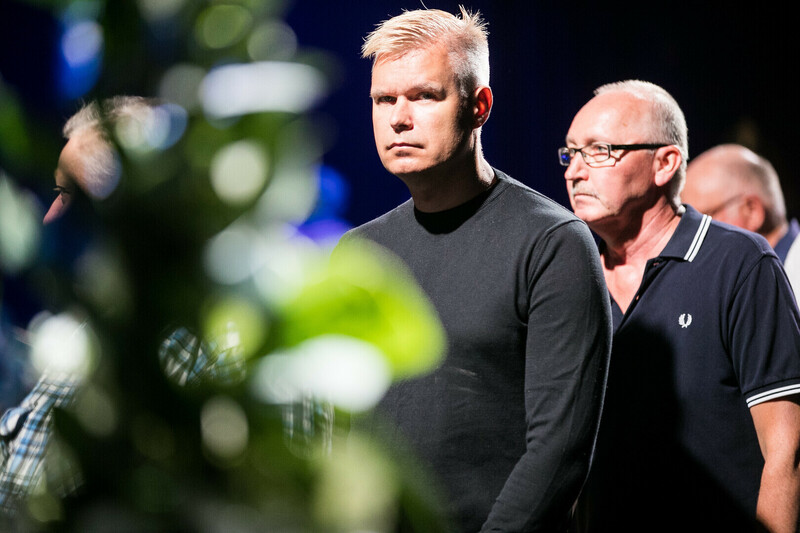 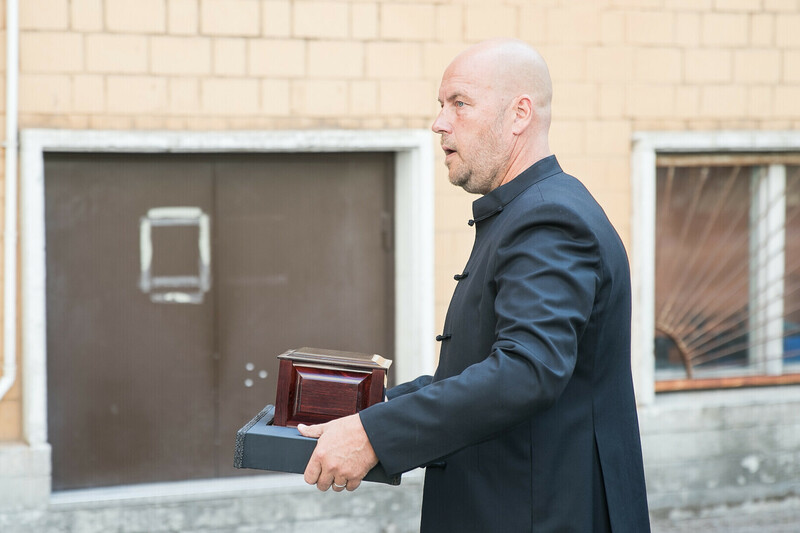 Journalists Marko Reikop, Andres Kuusk, Indrek Treufeldt and Mihkel Kärmas carried the urn out to the hearse following the service. 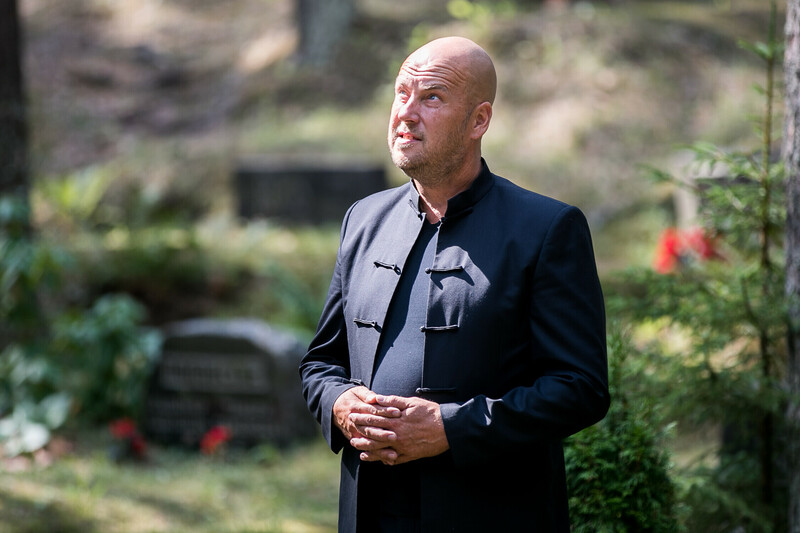 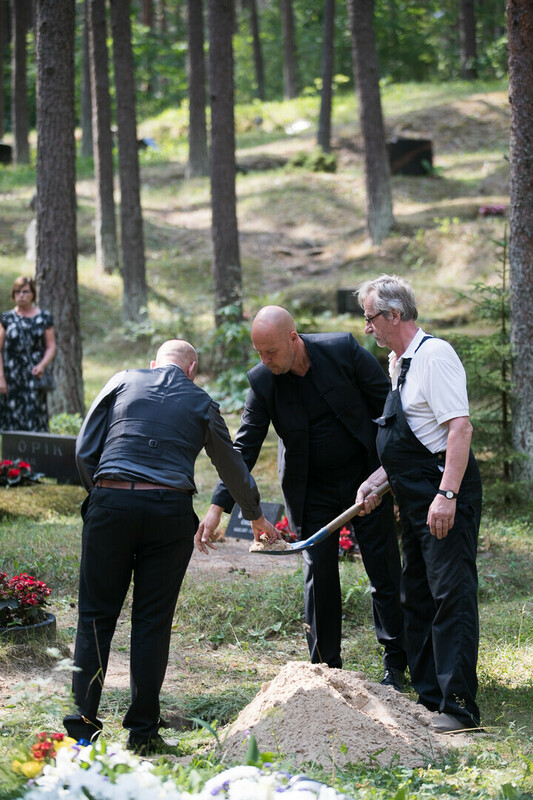 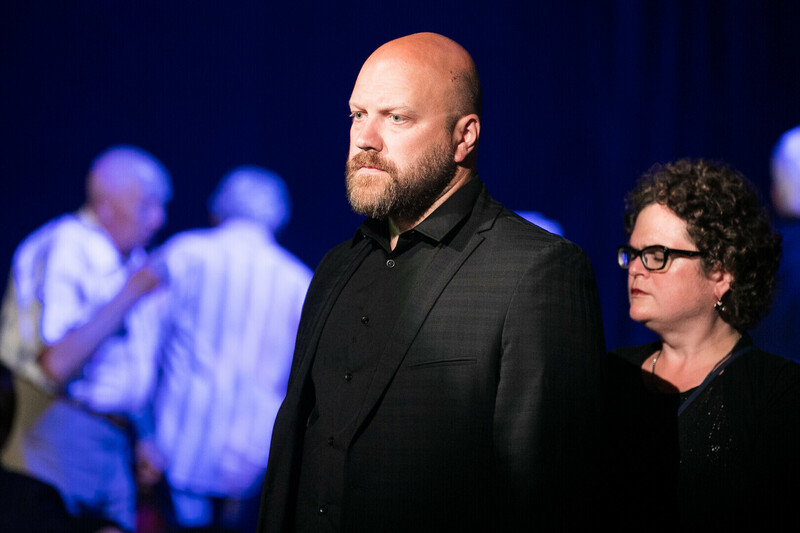 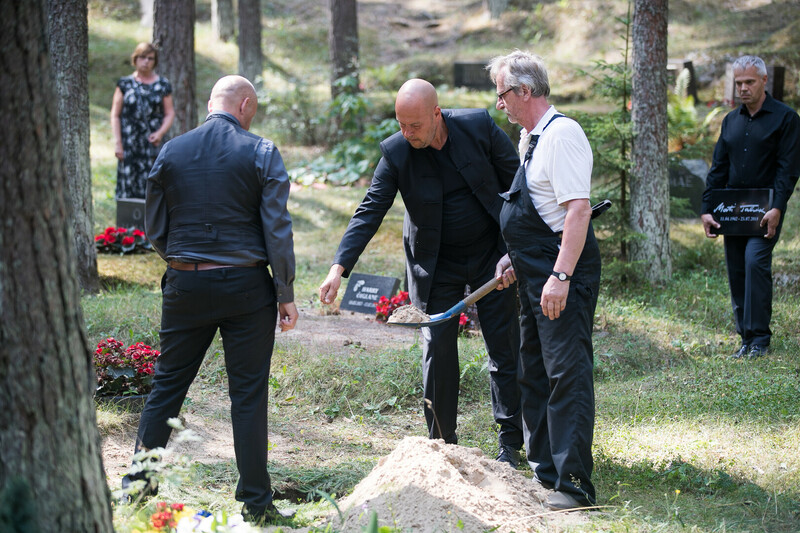 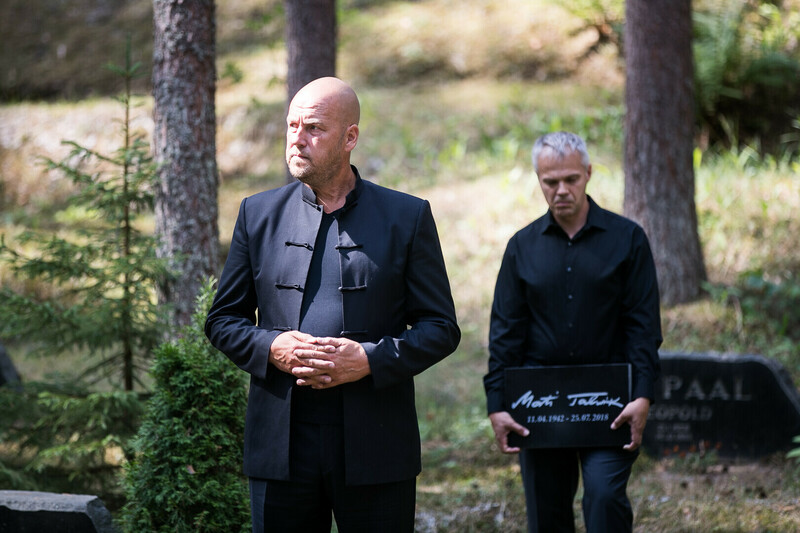 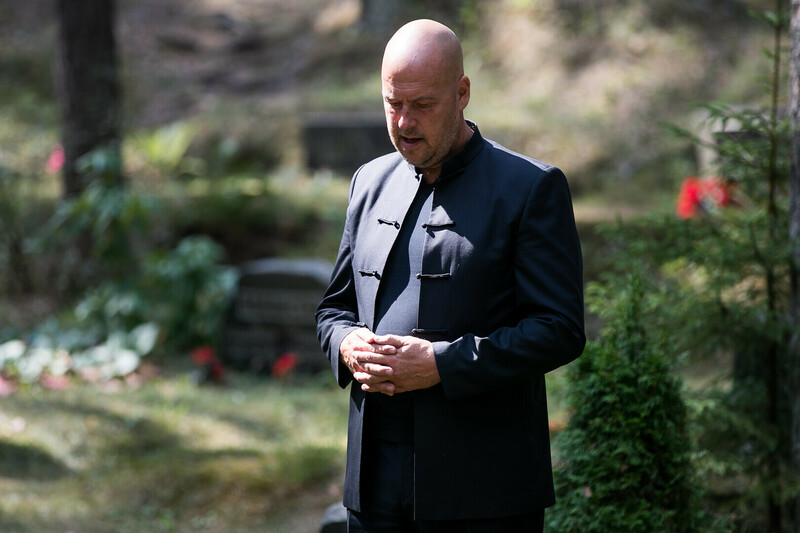 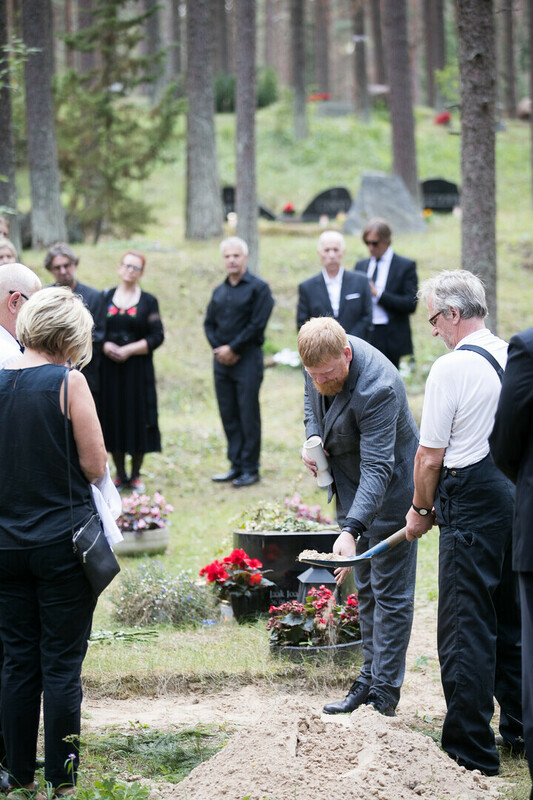 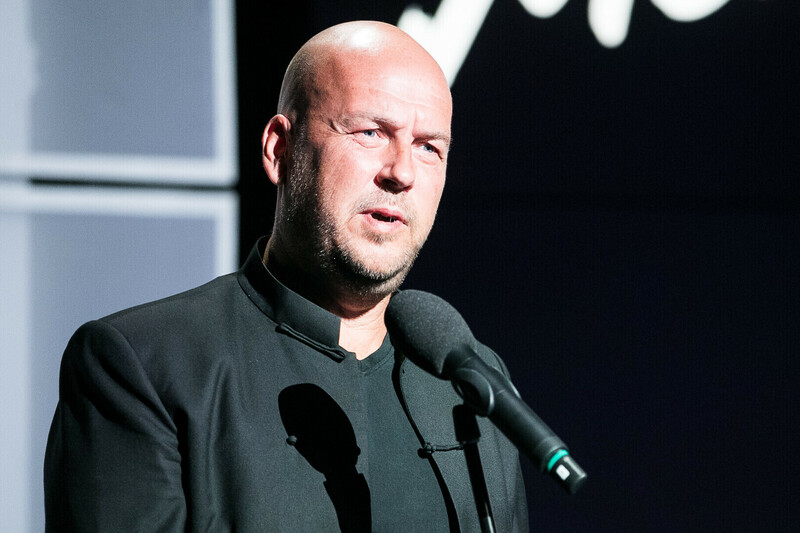 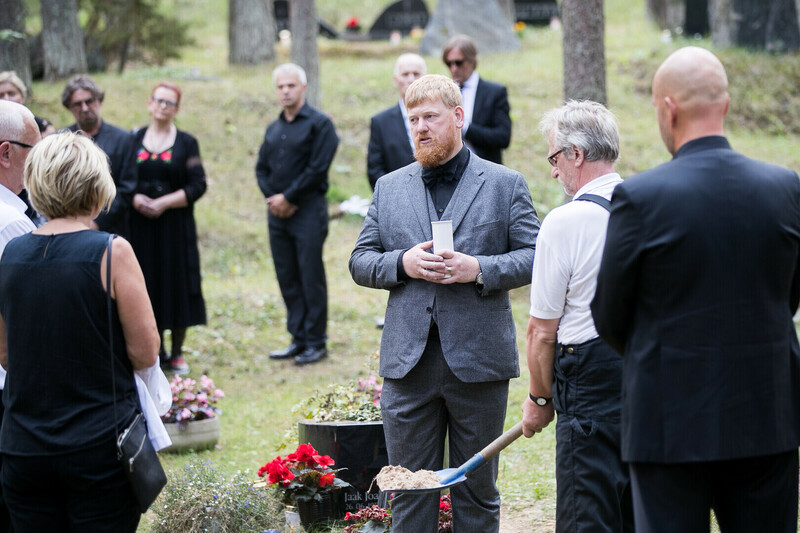 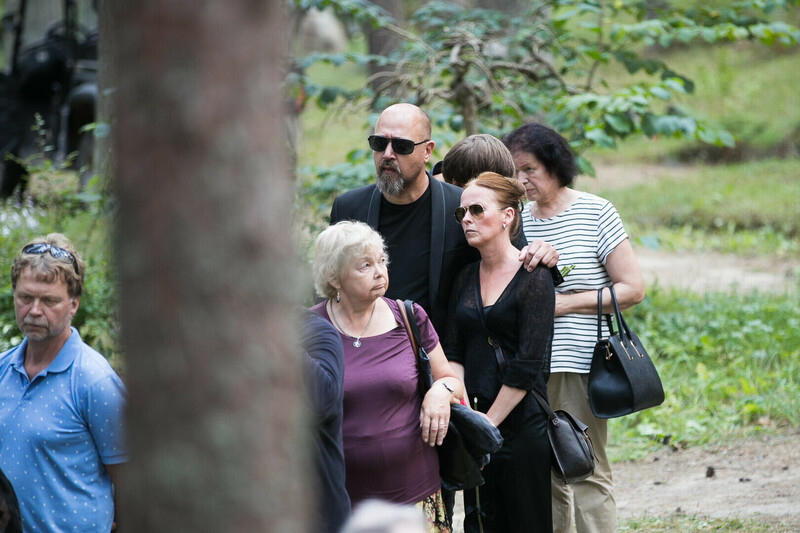 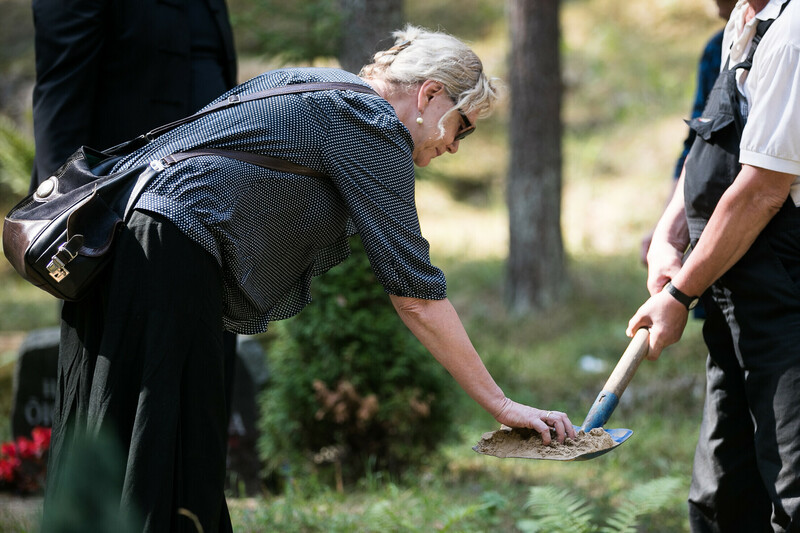 Talvik's urn will be buried in Tallinn's Forest Cemetery next to singer Jaak Joala. 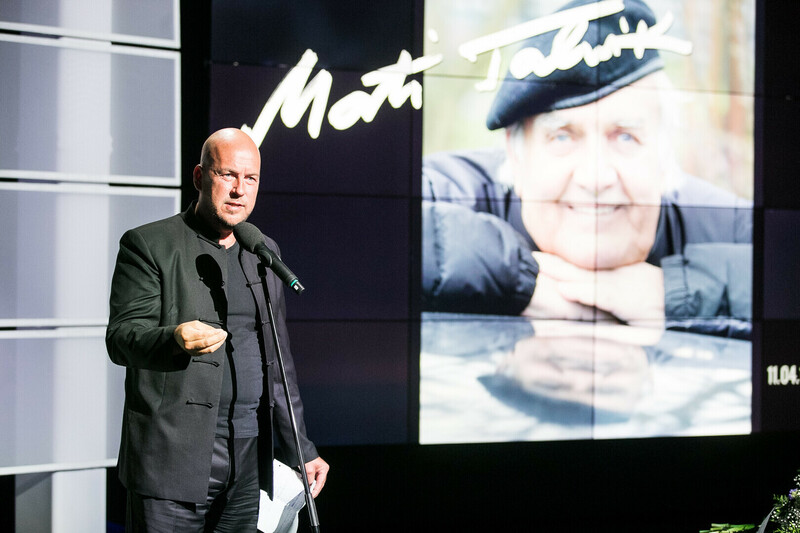 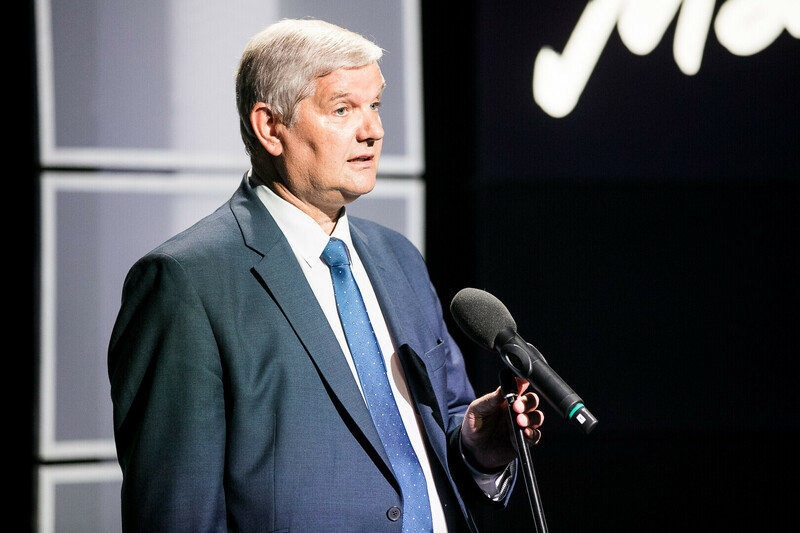 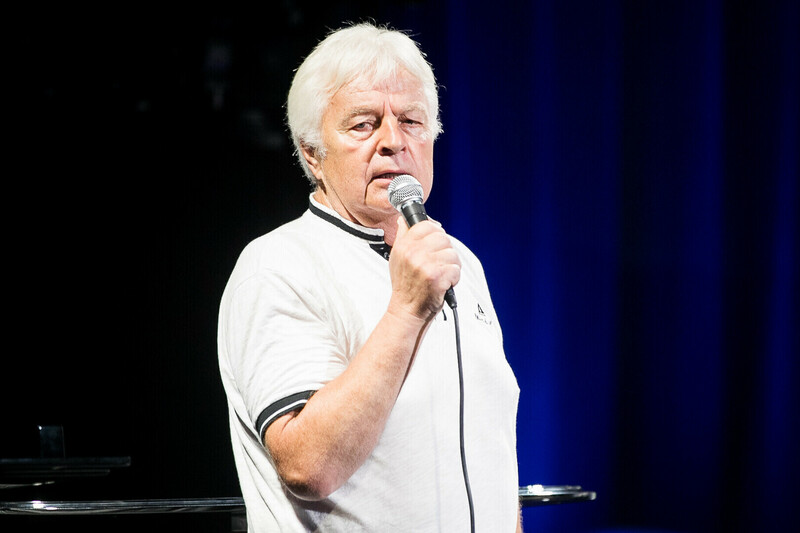 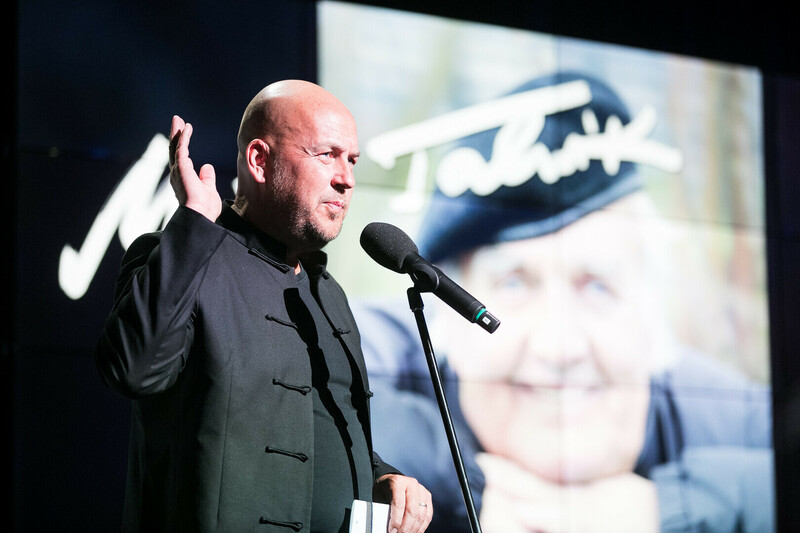 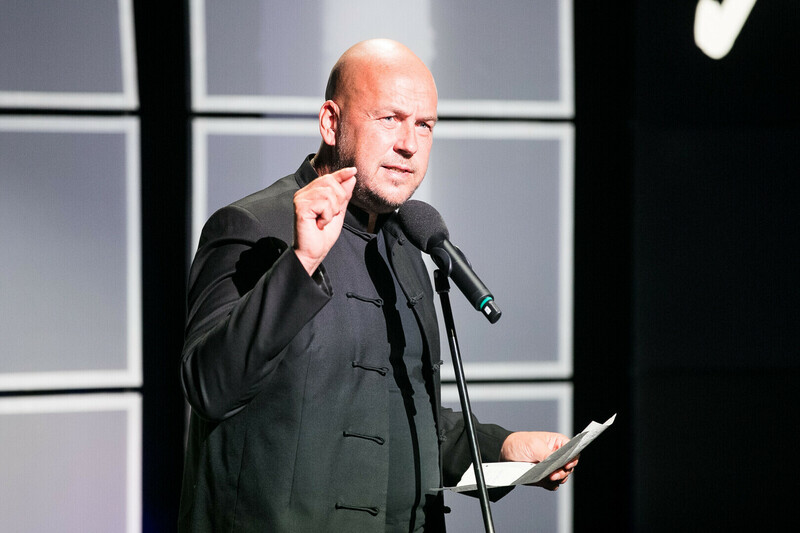 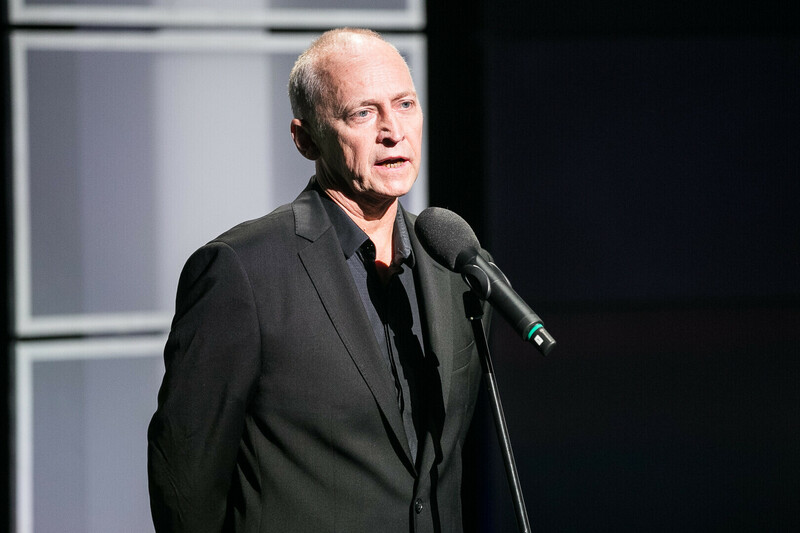 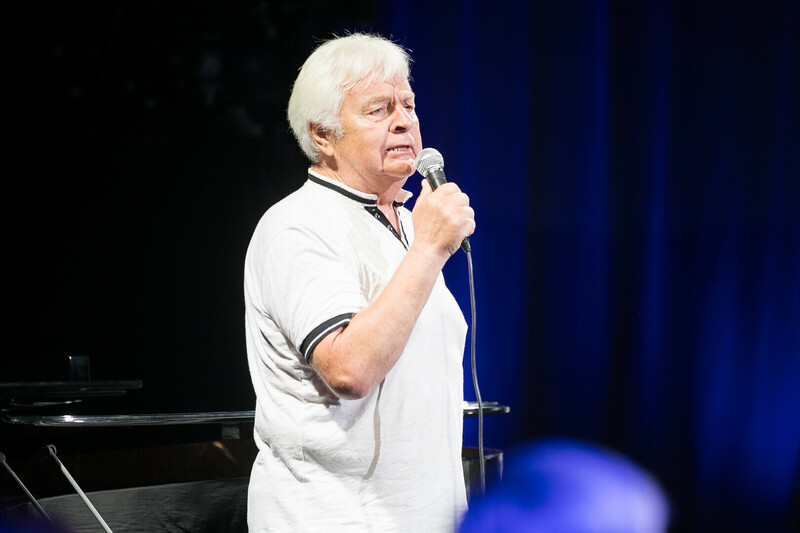 Mati Talvik, who celebrated his 50th job anniversary at ETV in January, died on Wednesday, 25 July following a difficult illness.